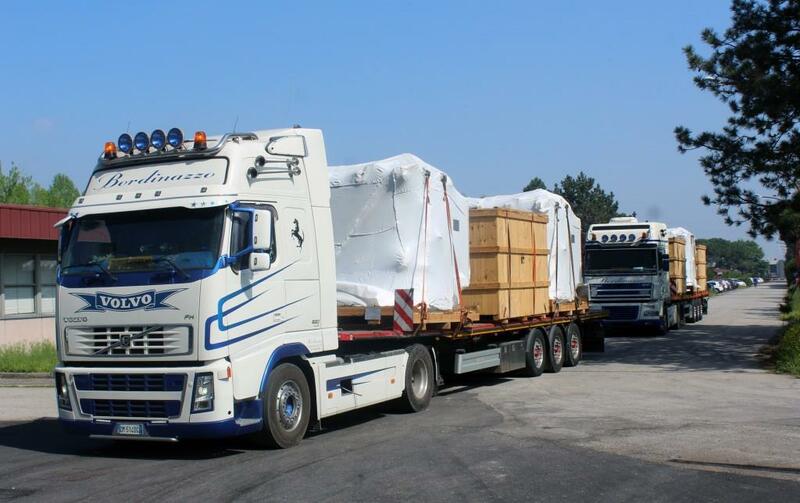 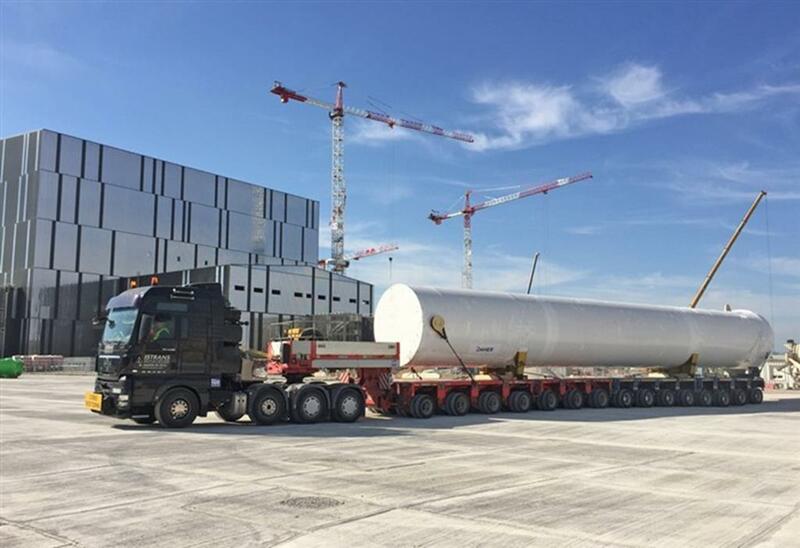 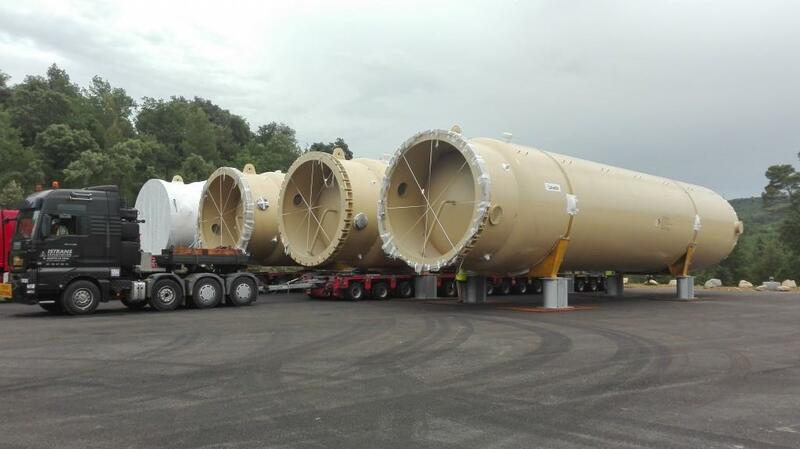 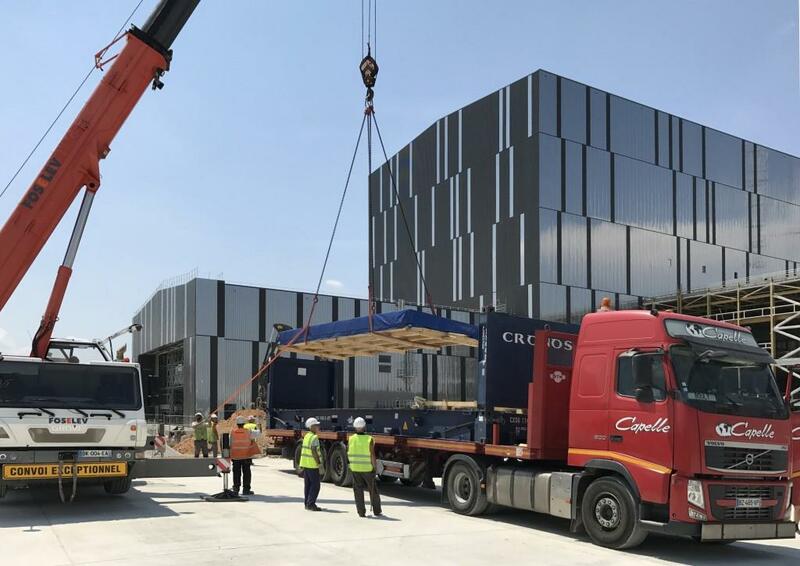 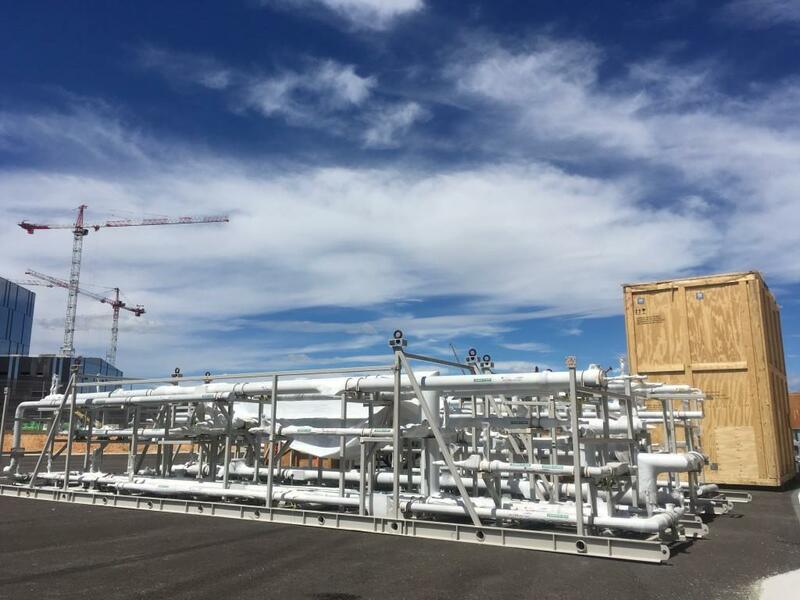 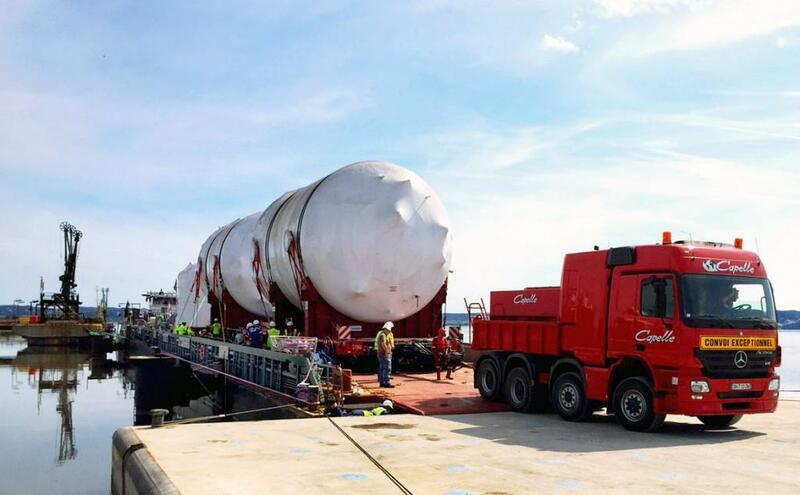 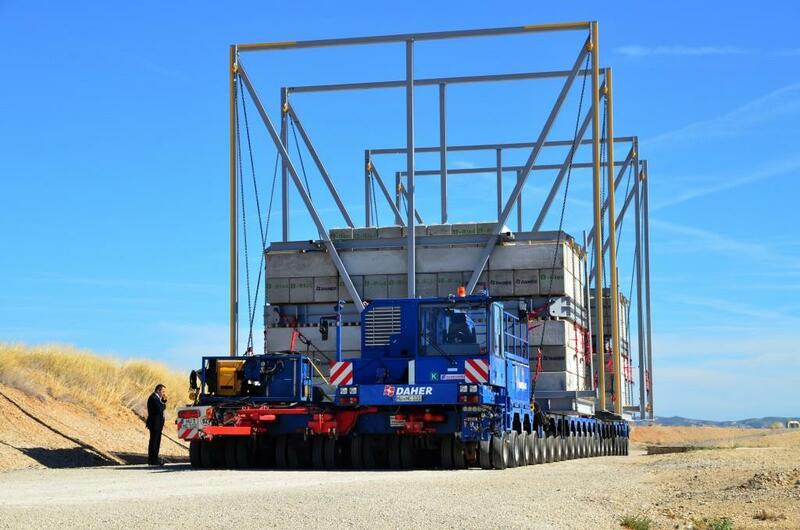 ITER's largest components will be transported 104 kilometres along a dedicated itinerary from the Mediterranean Sea to the site in Saint Paul-lez-Durance. 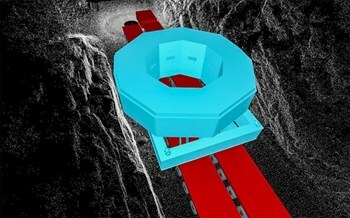 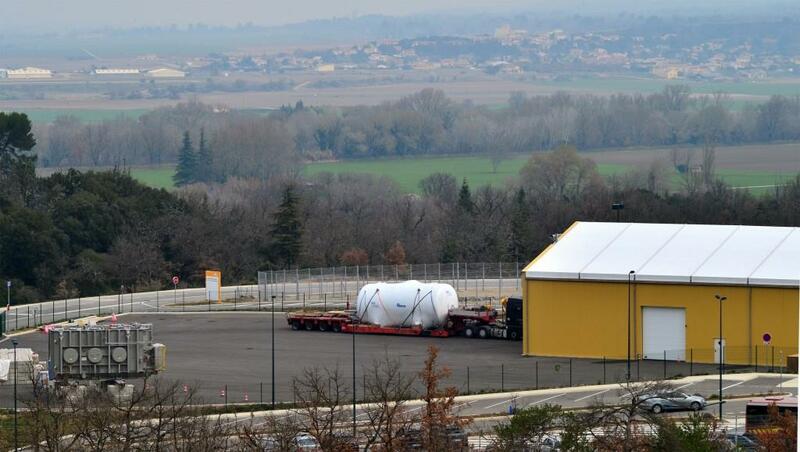 Precise mapping techniques allow ITER logistics provider DAHER to plan for each unique load (pictured: poloidal field coil #6). 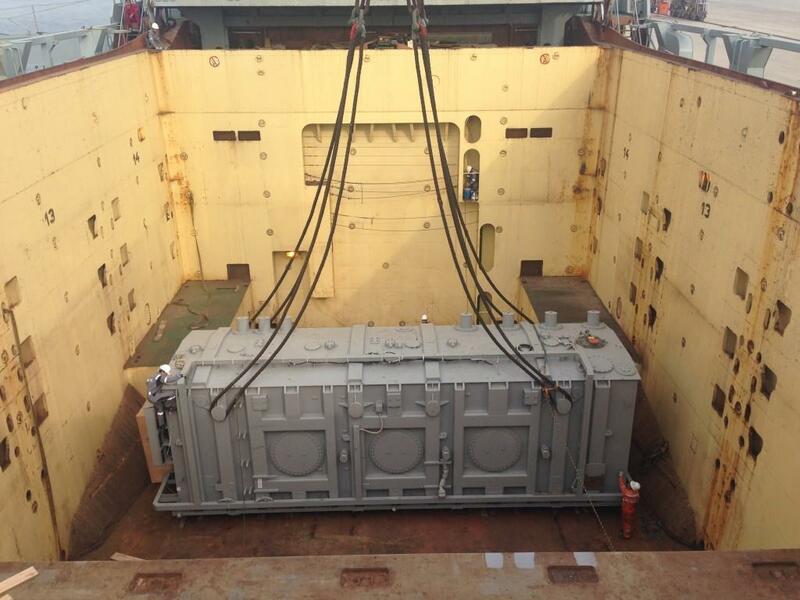 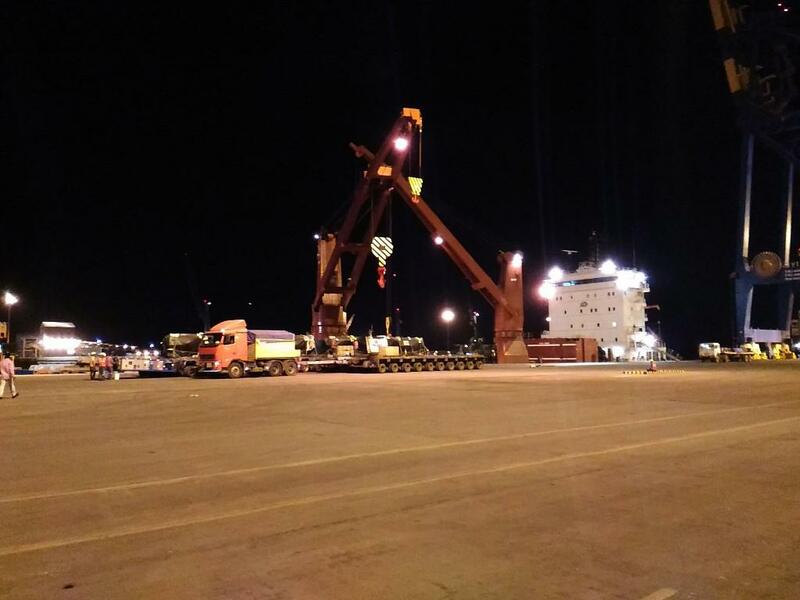 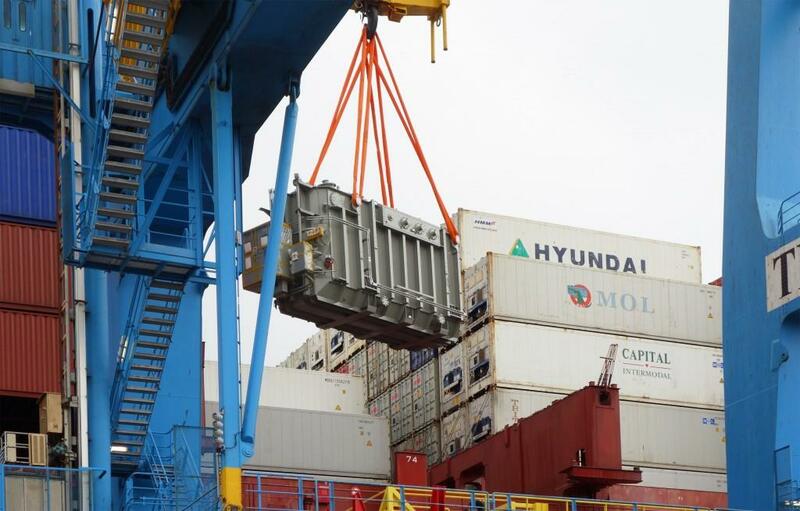 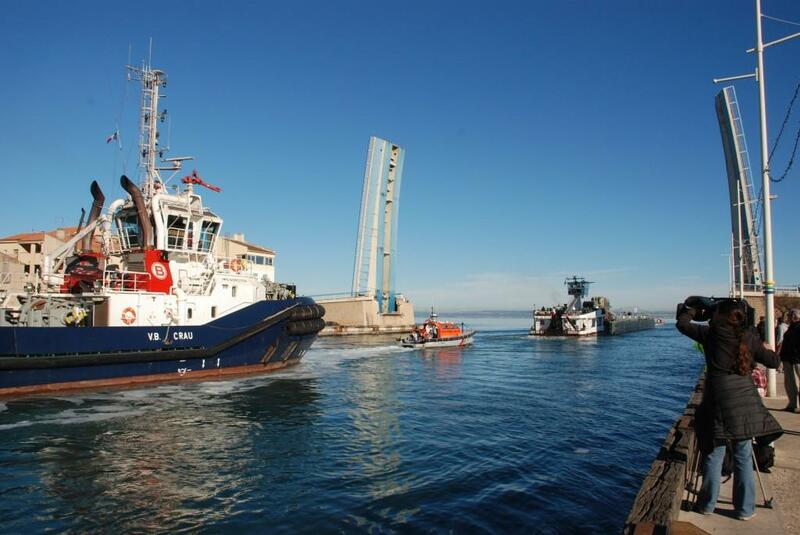 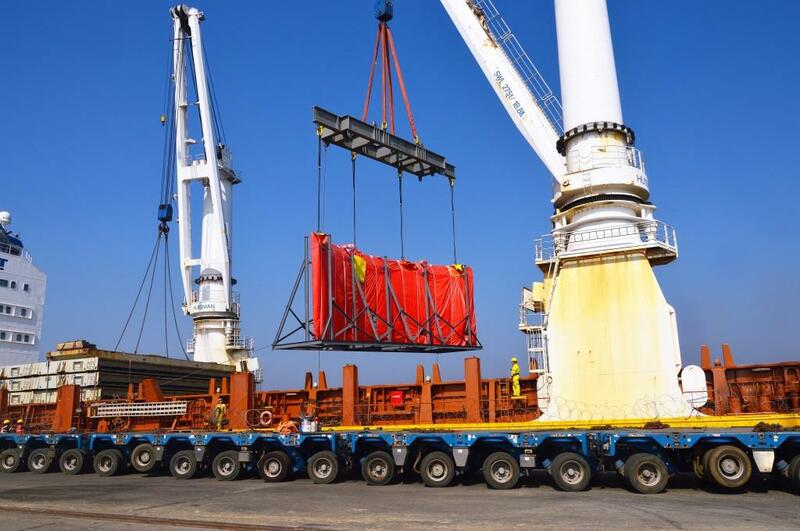 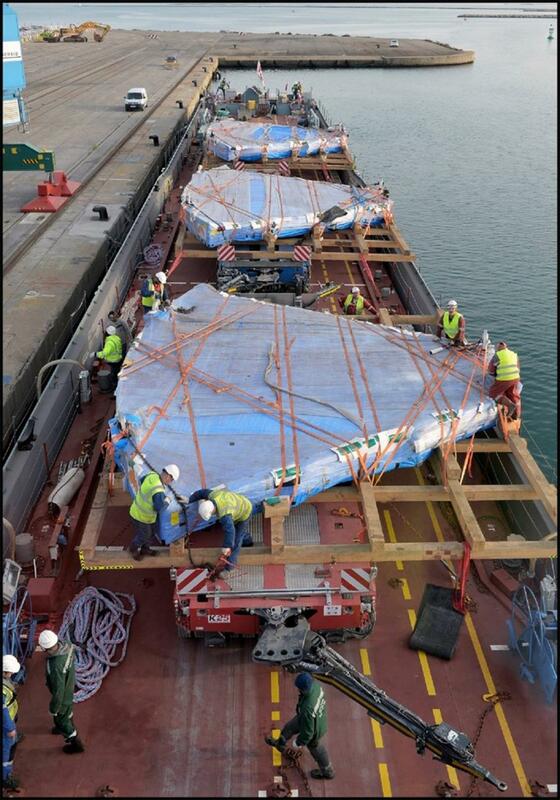 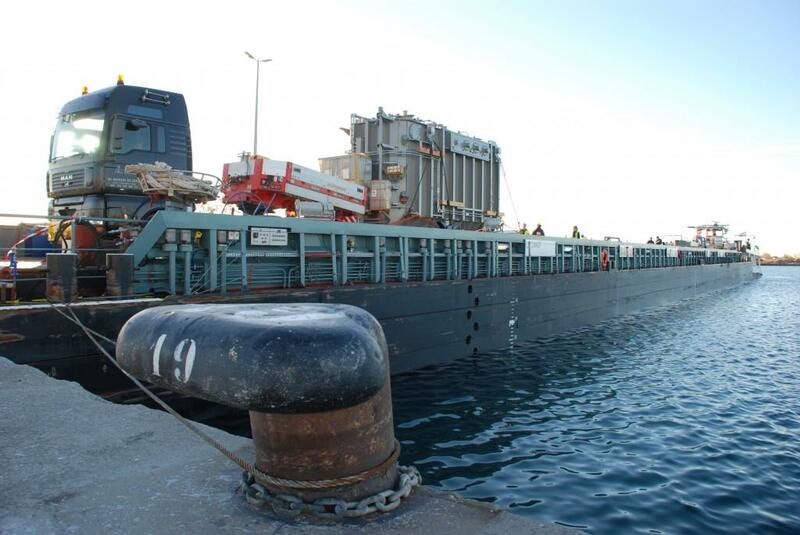 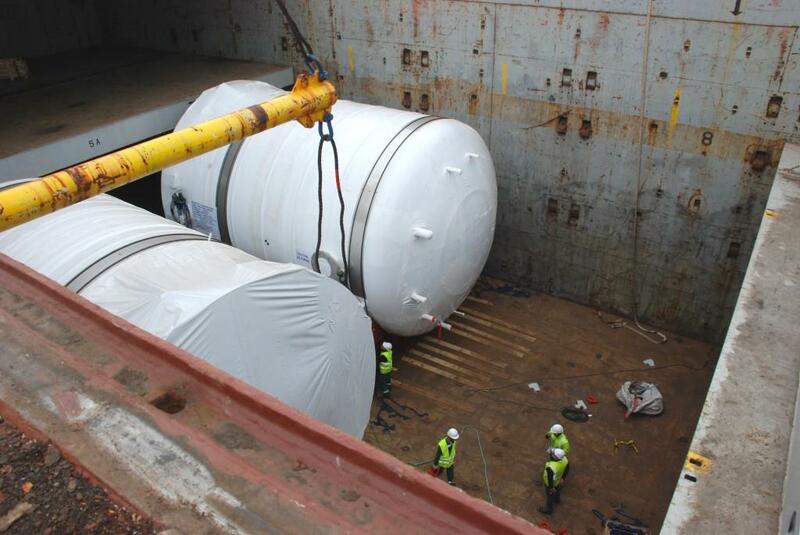 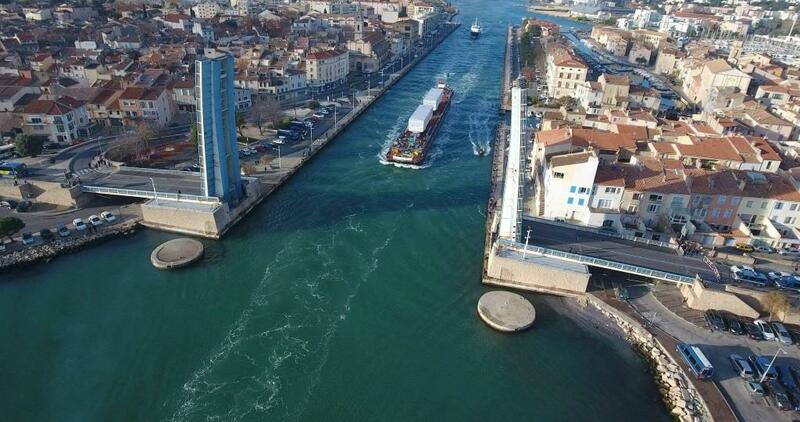 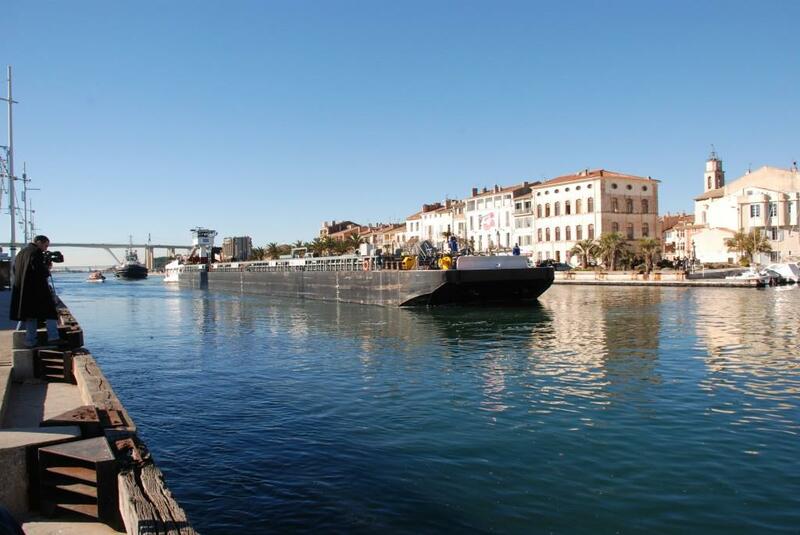 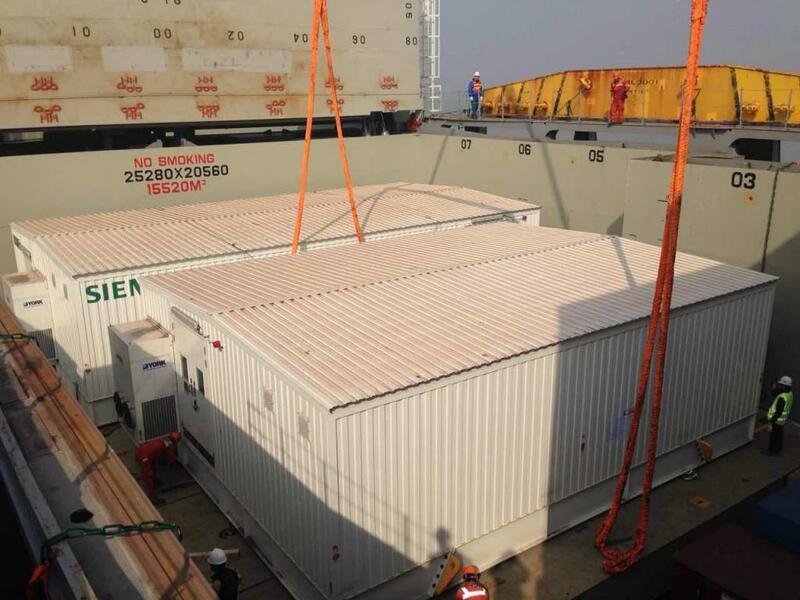 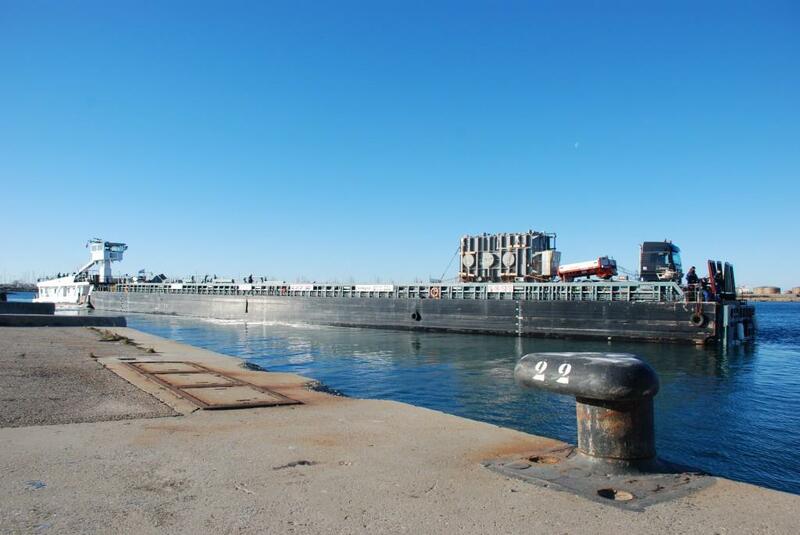 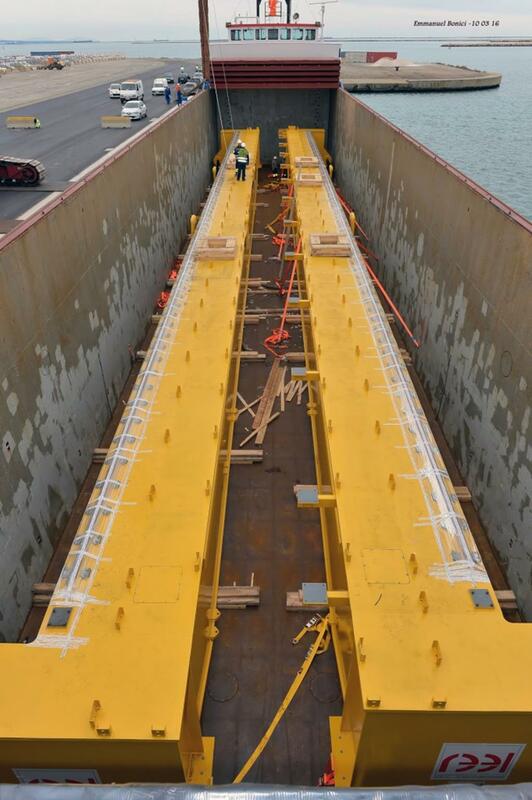 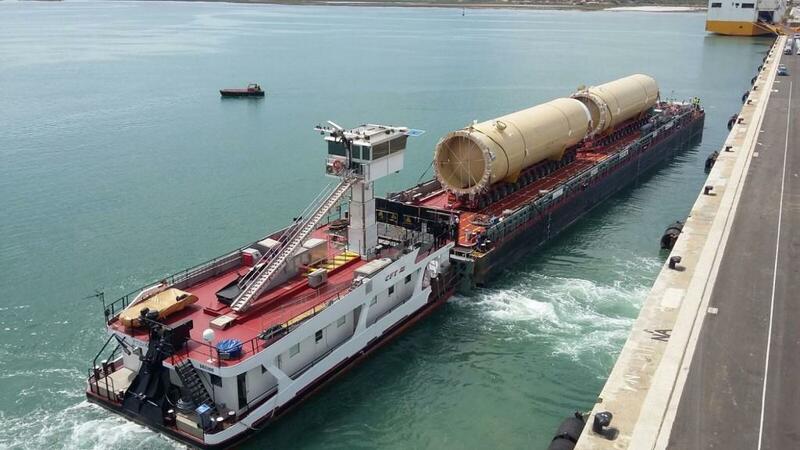 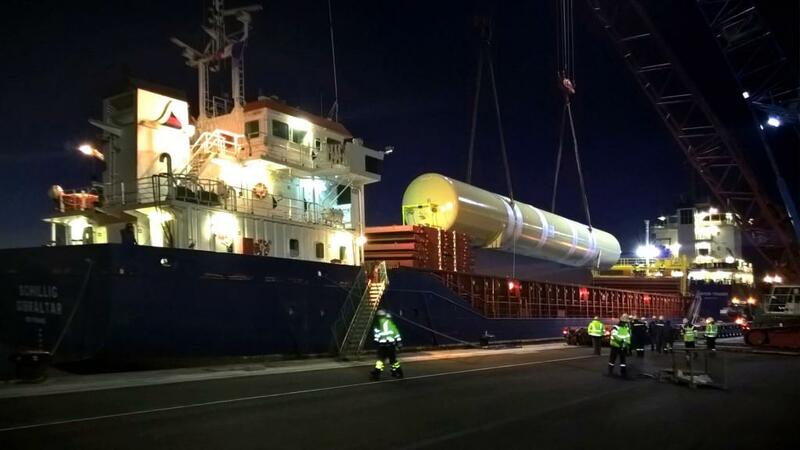 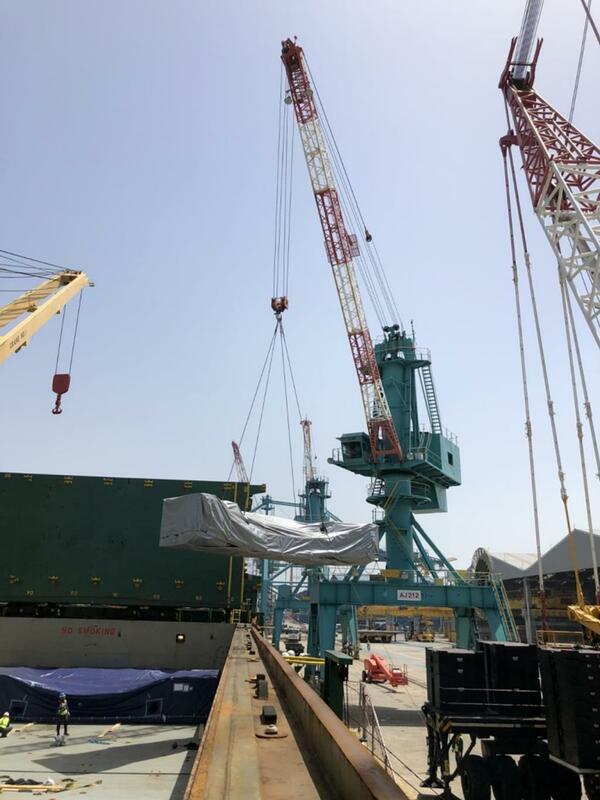 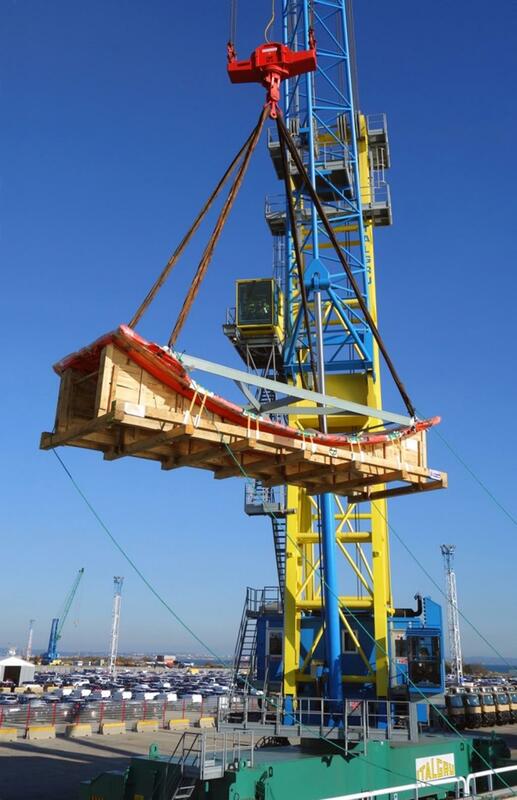 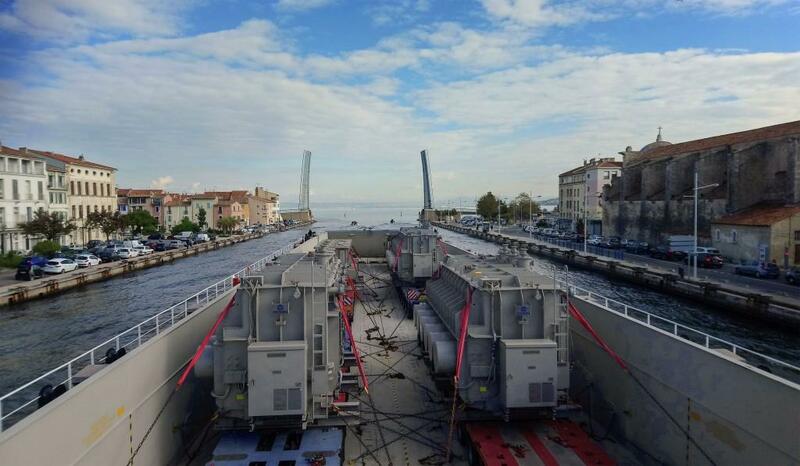 The largest and heaviest loads shipped by the seven Members will arrive at the French harbour of Fos-sur-Mer, west of Marseille on the Mediterranean Sea. 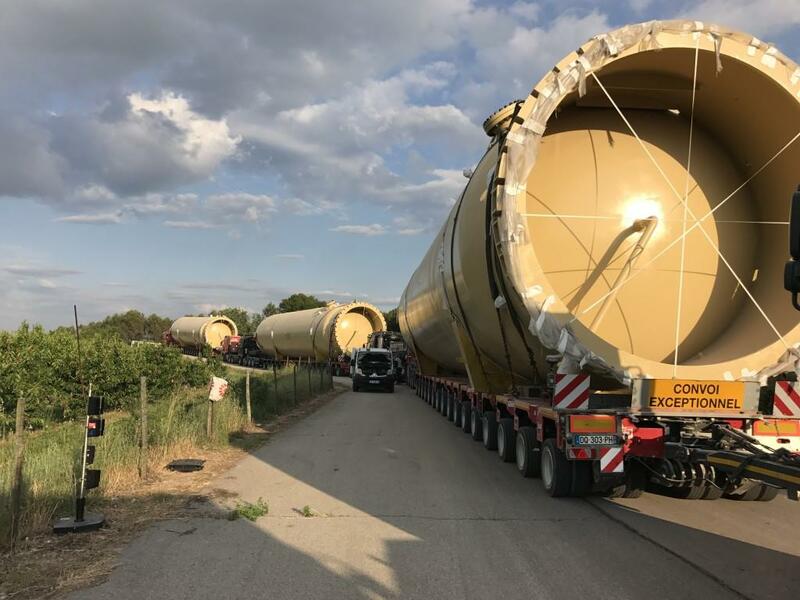 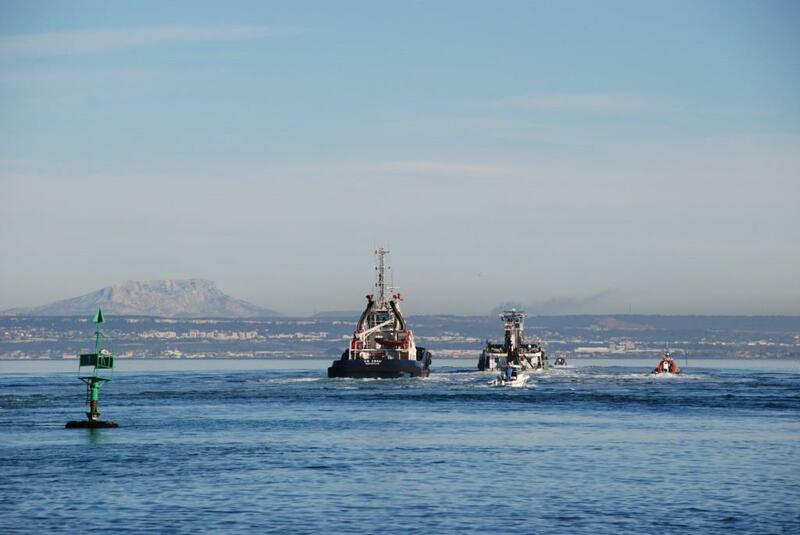 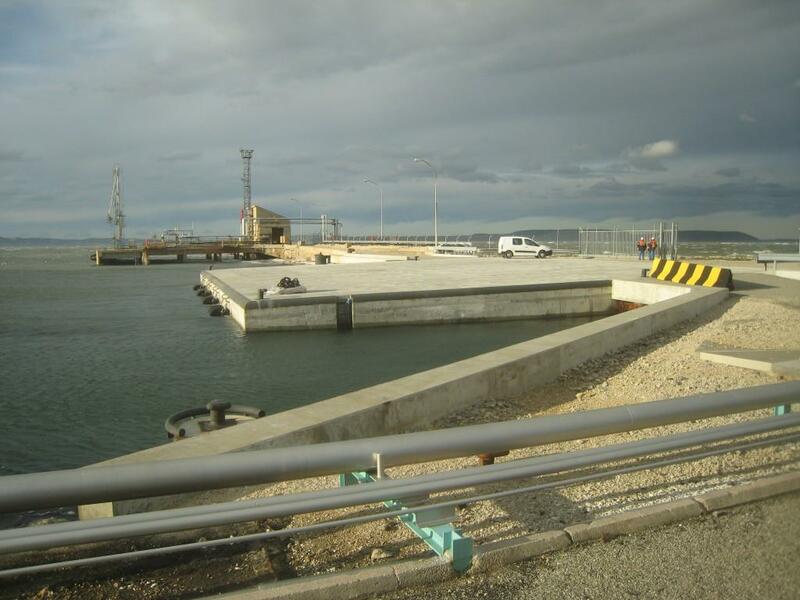 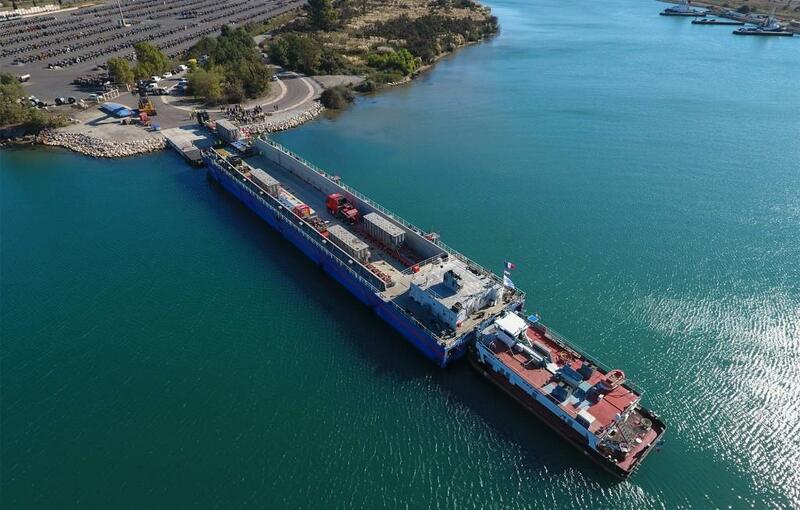 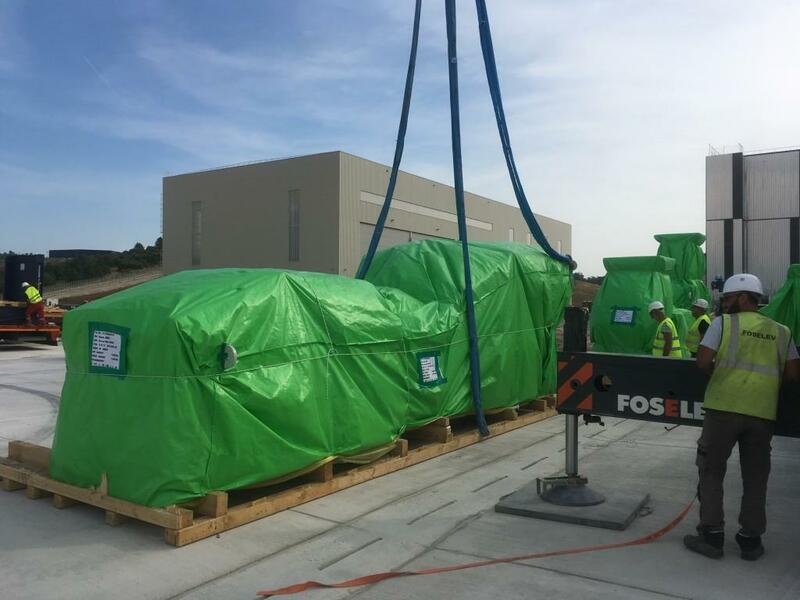 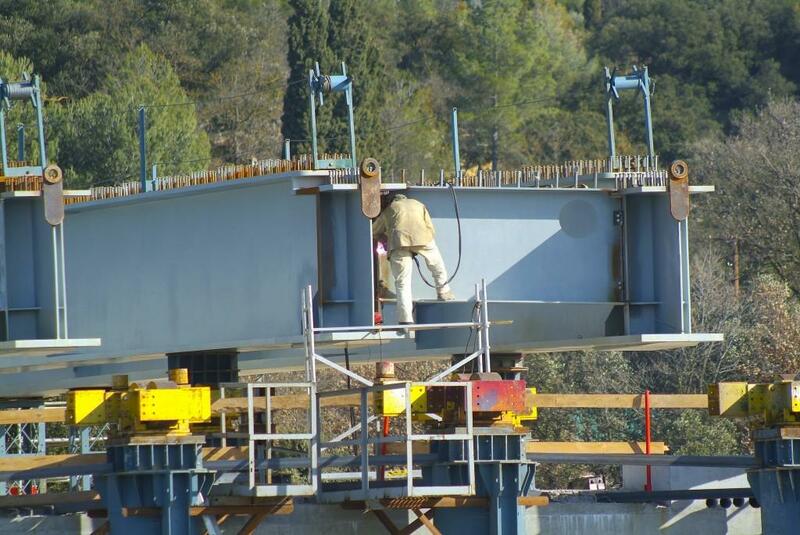 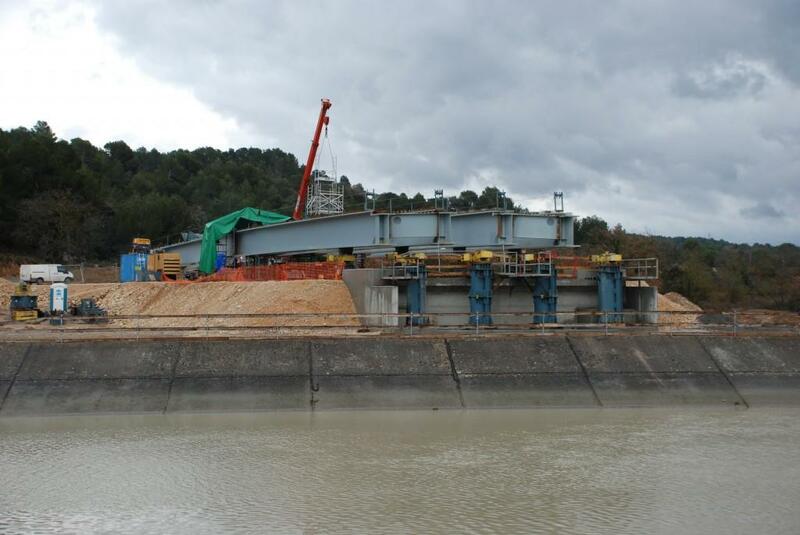 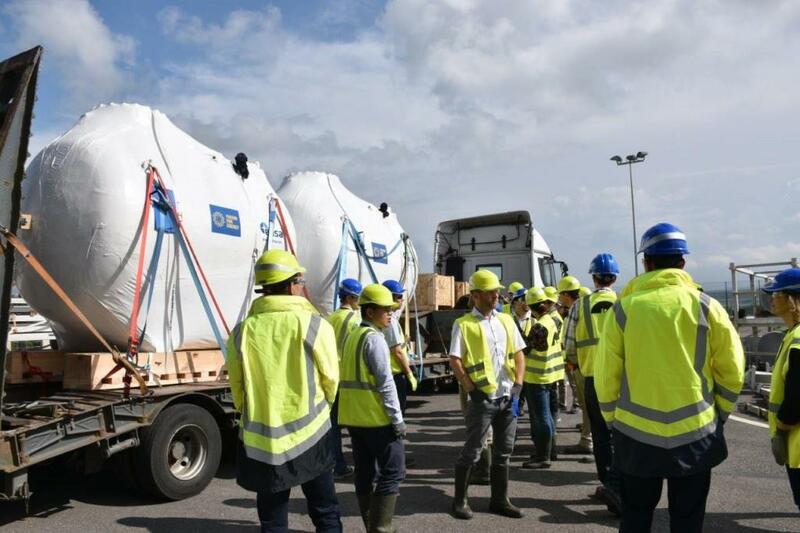 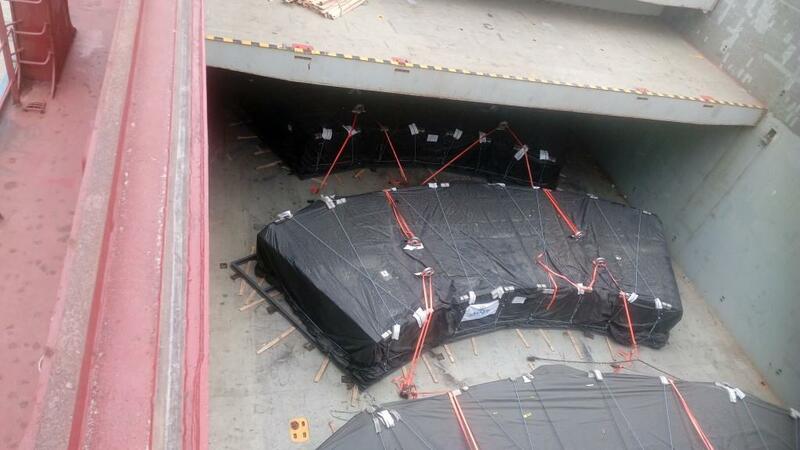 From there, they will cross the inland sea Etang de Berre before being transported along the dedicated ITER Itinerary to the ITER site in Saint Paul-lez-Durance. 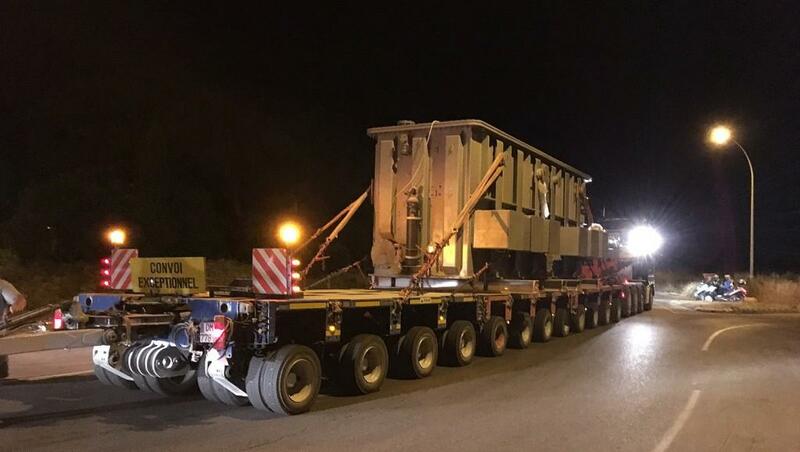 Some 250 such convoys, travelling at night in order to minimize disturbances to the local communities, will be organized between 2015 and the completion of machine assembly. 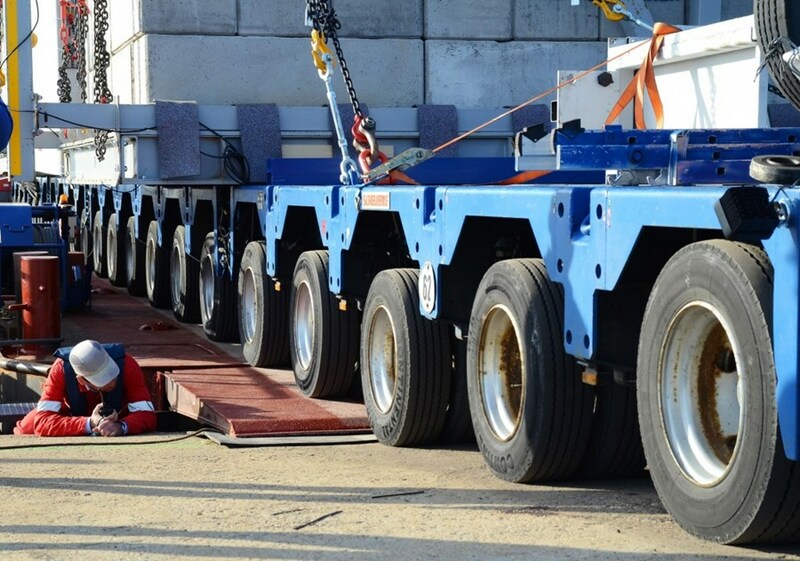 The dimensions of the largest convoys that will travel along the ITER Itinerary are impressive: the heaviest will weigh approximately 800 tonnes (including the 200-tonne, 352-wheel transport vehicle); the tallest will be 10.4 metres high, the longest 33 metres, and the widest 9 metres (these maximum dimensions will not be attained simultaneously). 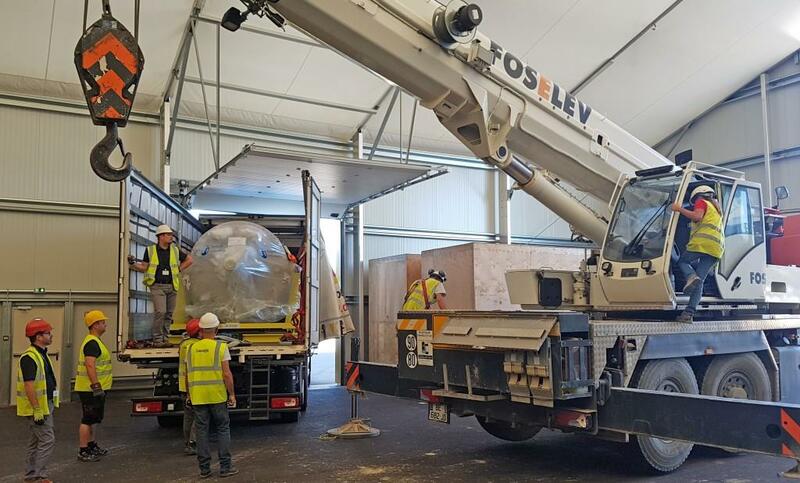 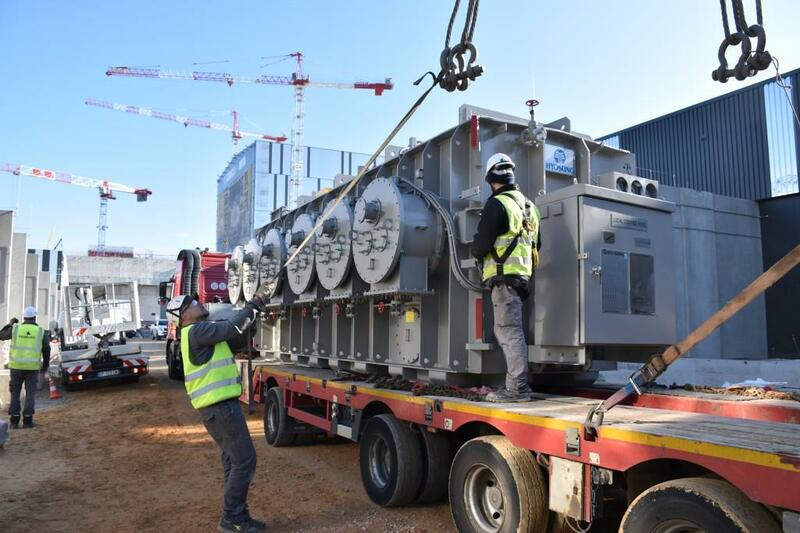 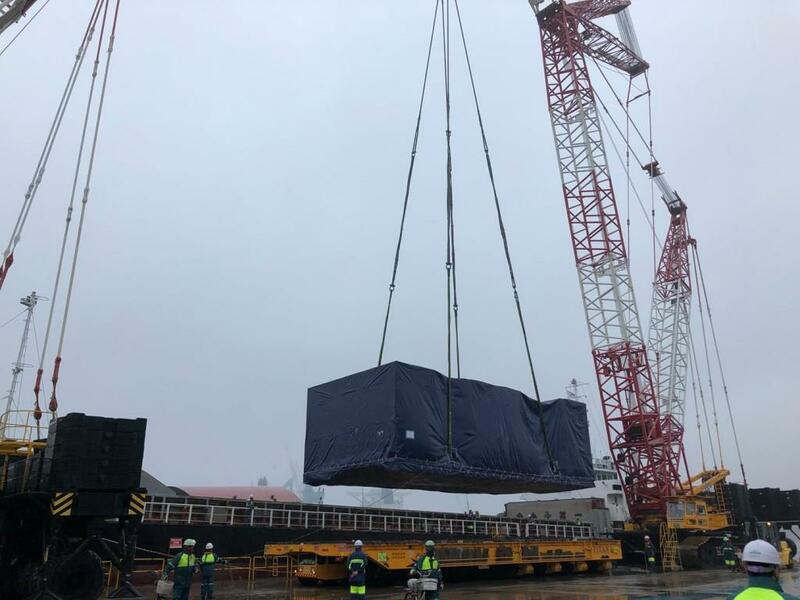 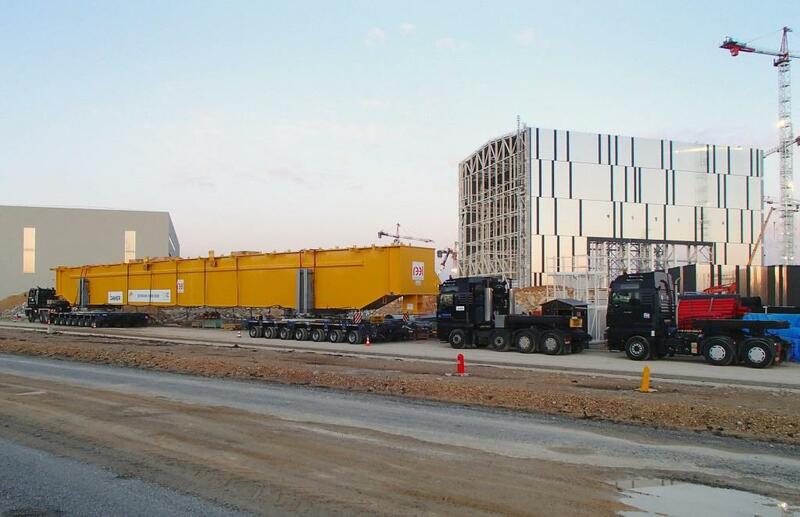 The arrival of the loads has been programmed according to the ITER Tokamak assembly and plant installation schedule: the first convoys will carry elements needed in the lowest levels of the machine and in the first auxiliary buildings. 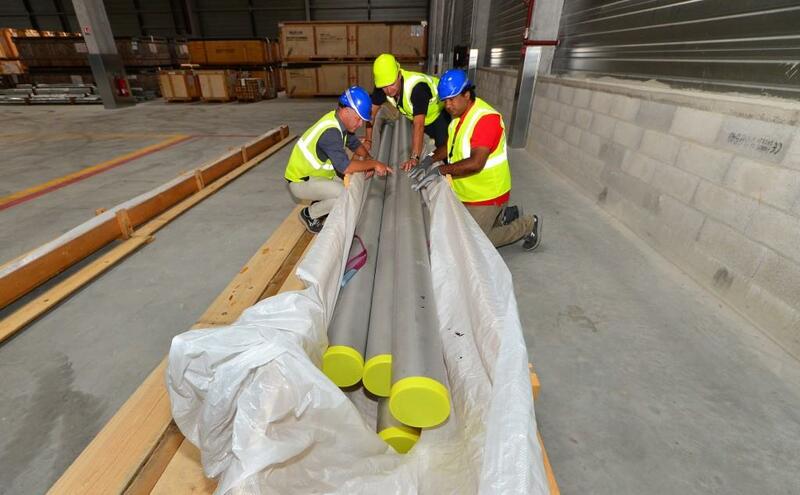 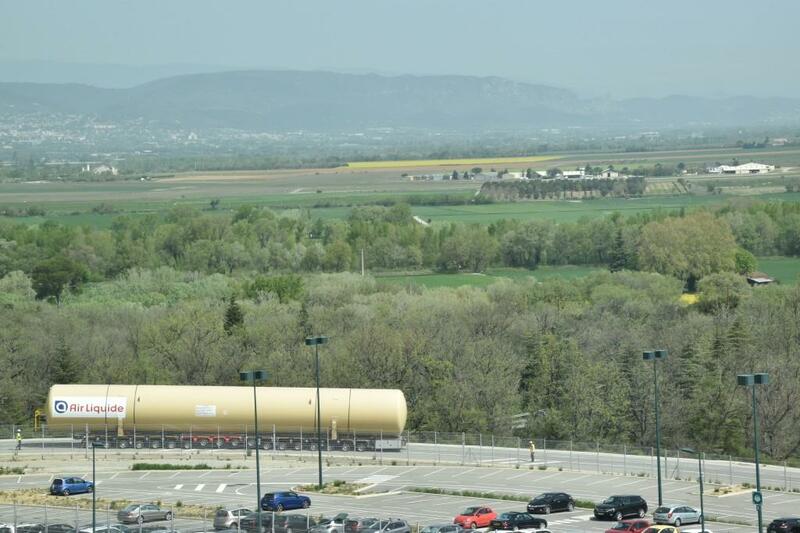 In September 2014, the first completed components for the electrical installation reached ITER in France on behalf of the US Domestic Agency, from manufacturing locations in Europe and North America. 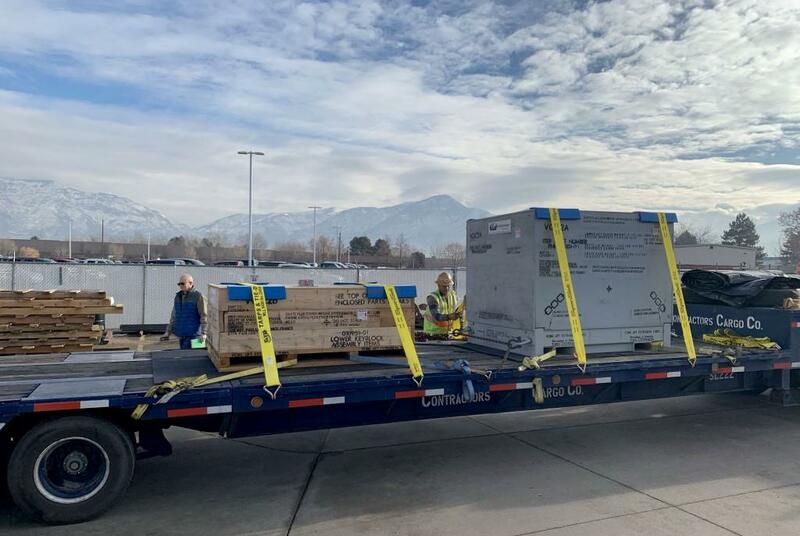 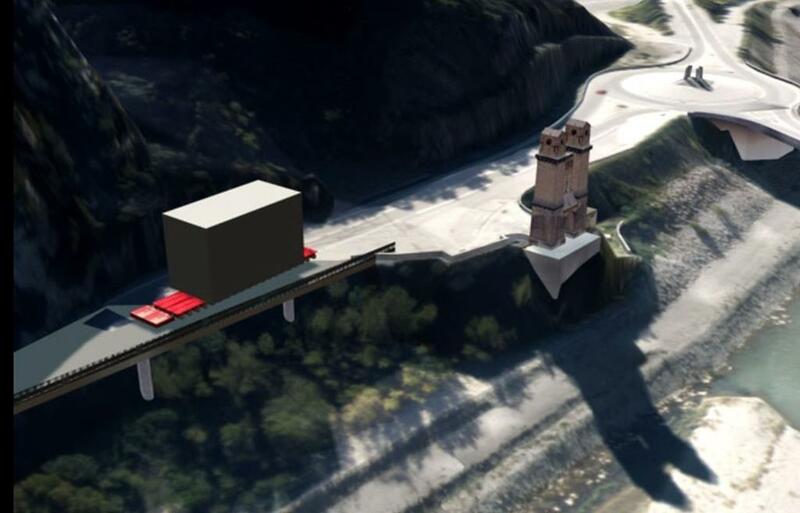 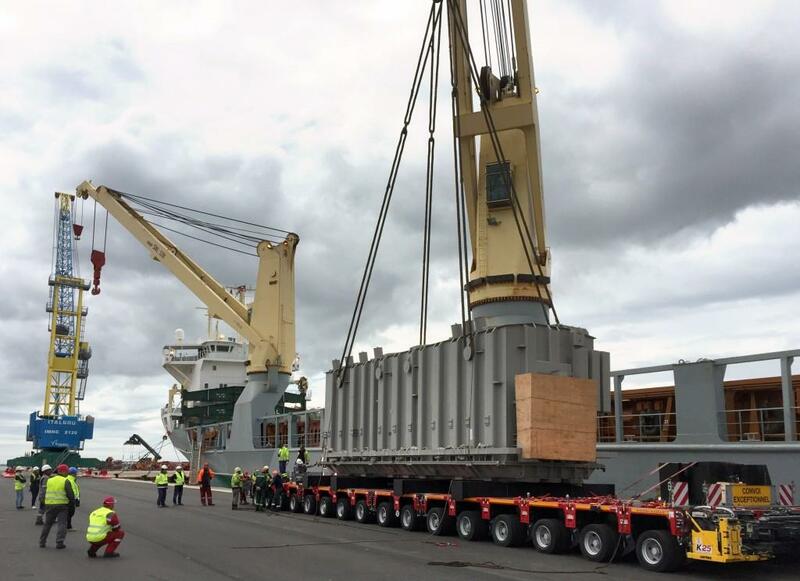 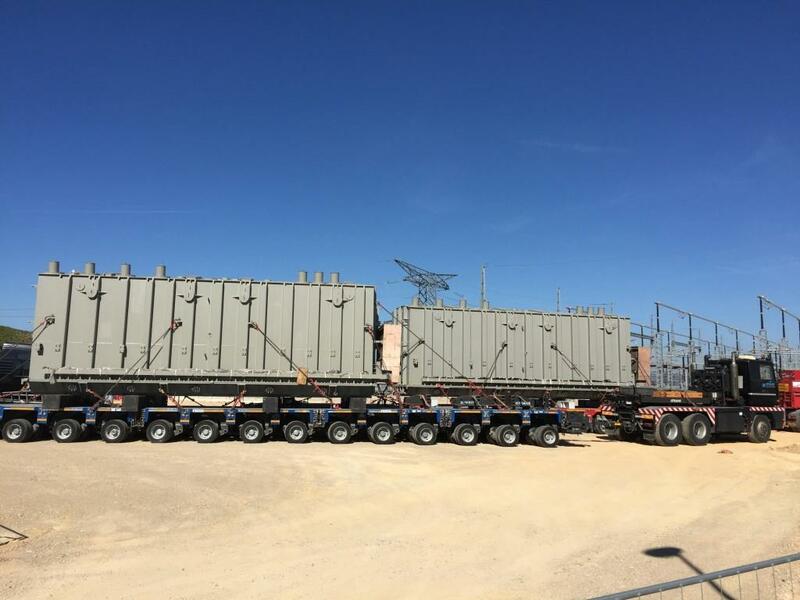 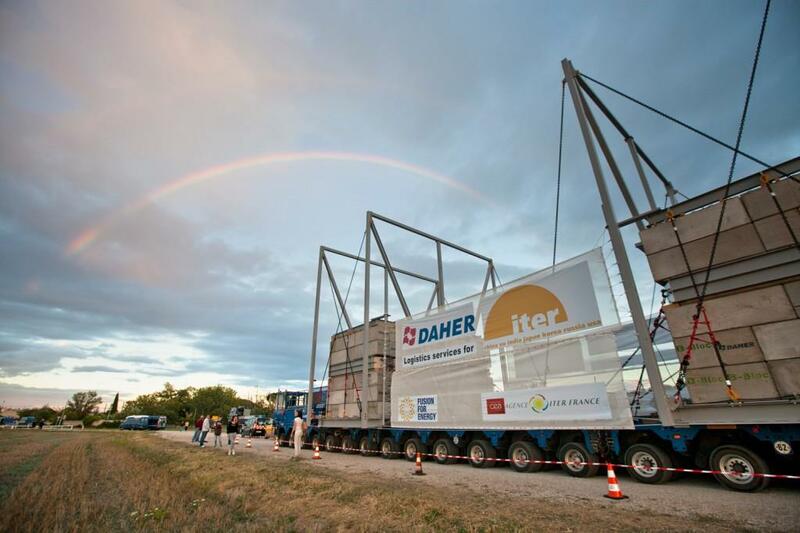 From that point on, deliveries have accelerated—both "standard" deliveries by truck (Conventional or Conventional Exceptional Loads, CEL) and exceptionally sized loads along the ITER Itinerary. 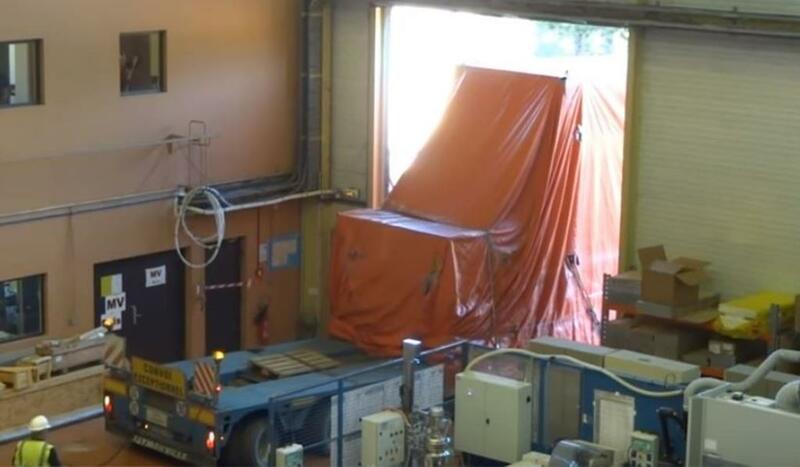 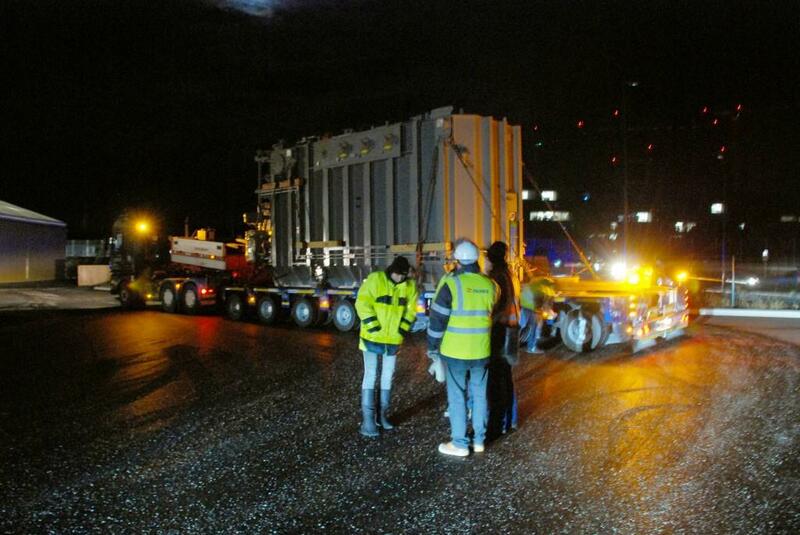 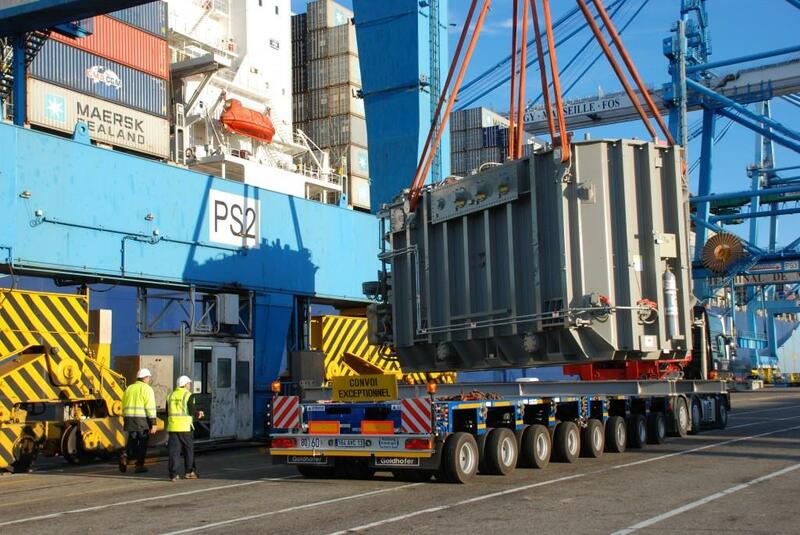 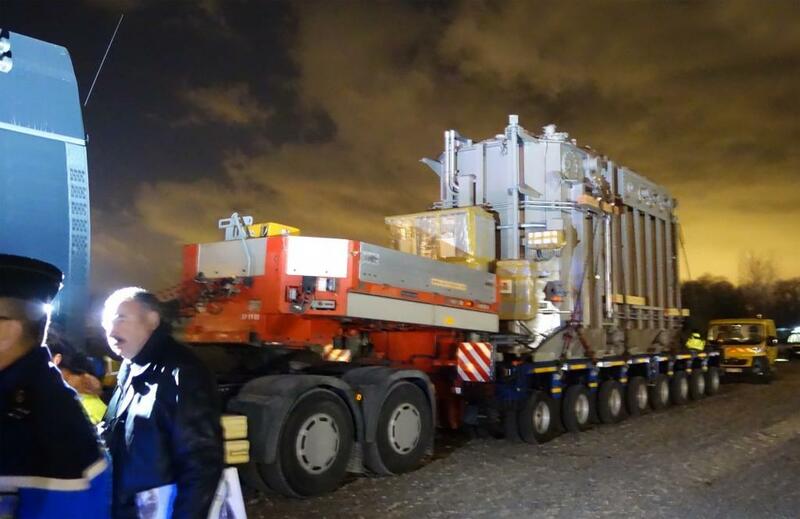 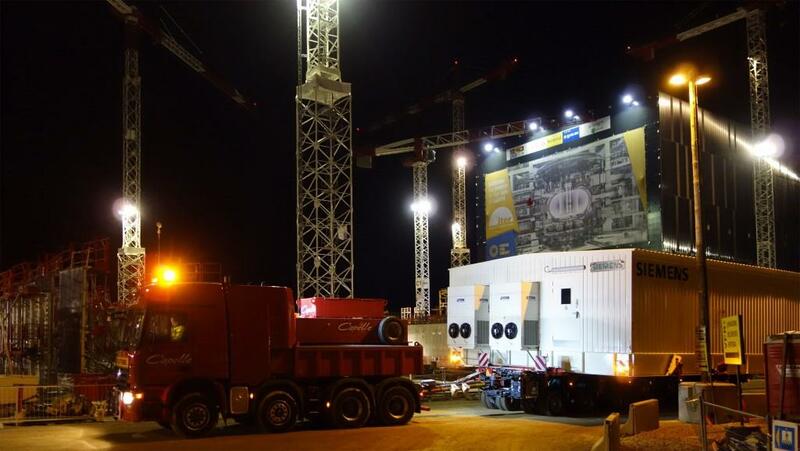 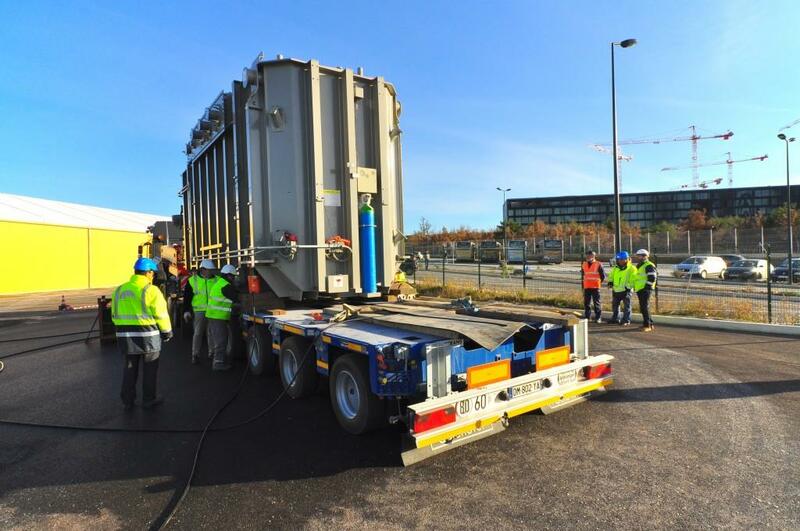 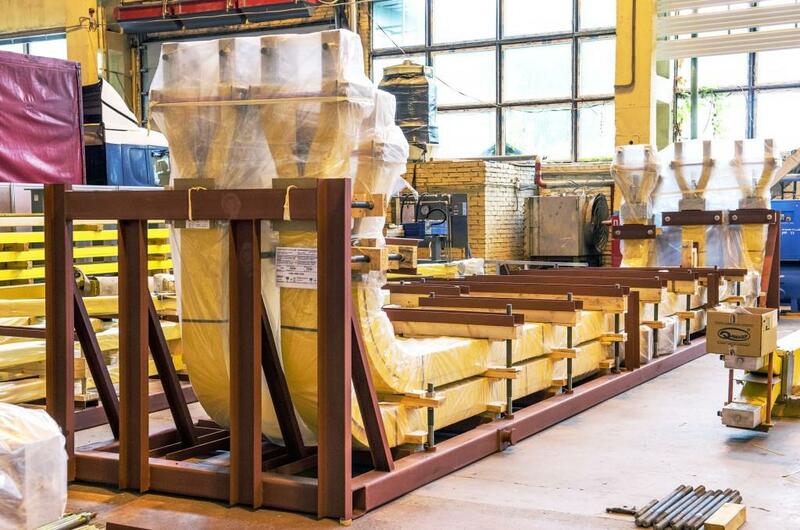 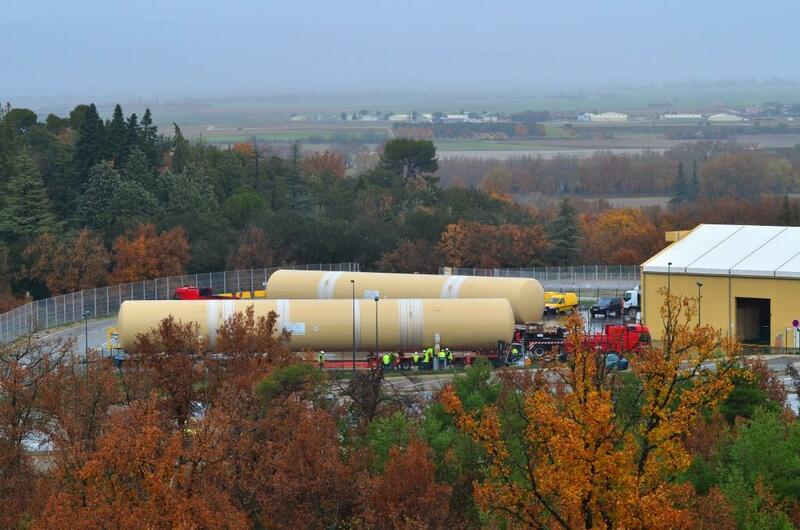 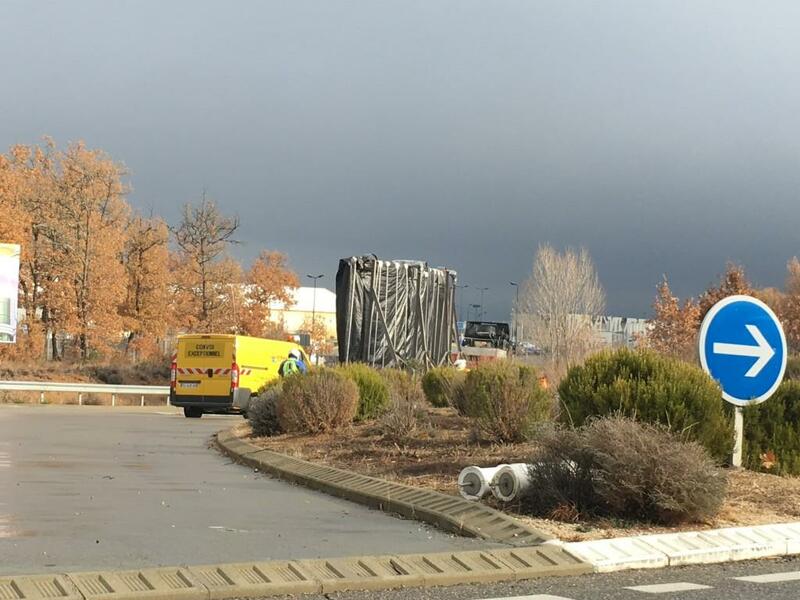 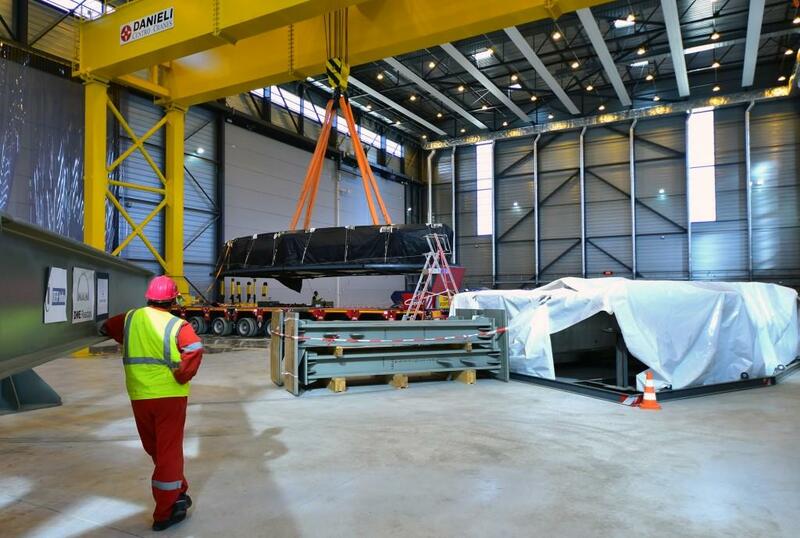 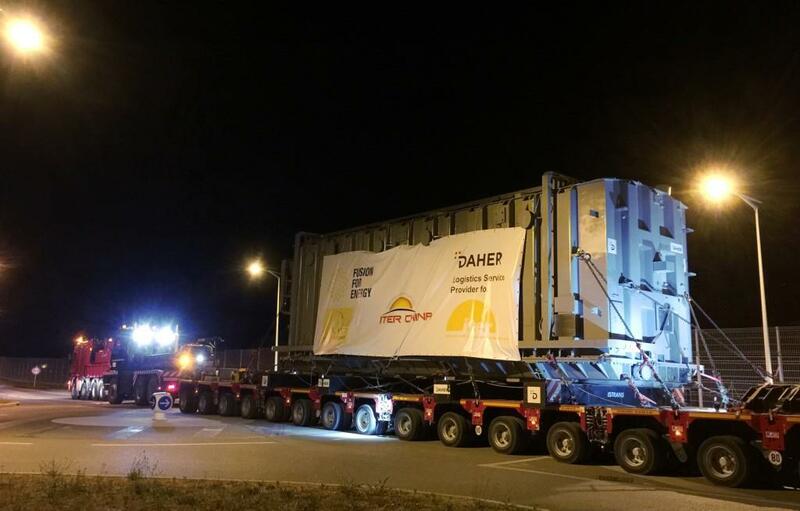 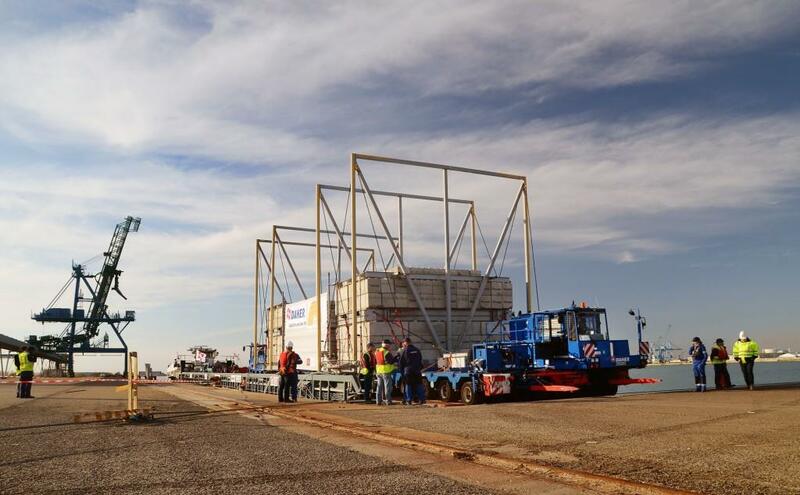 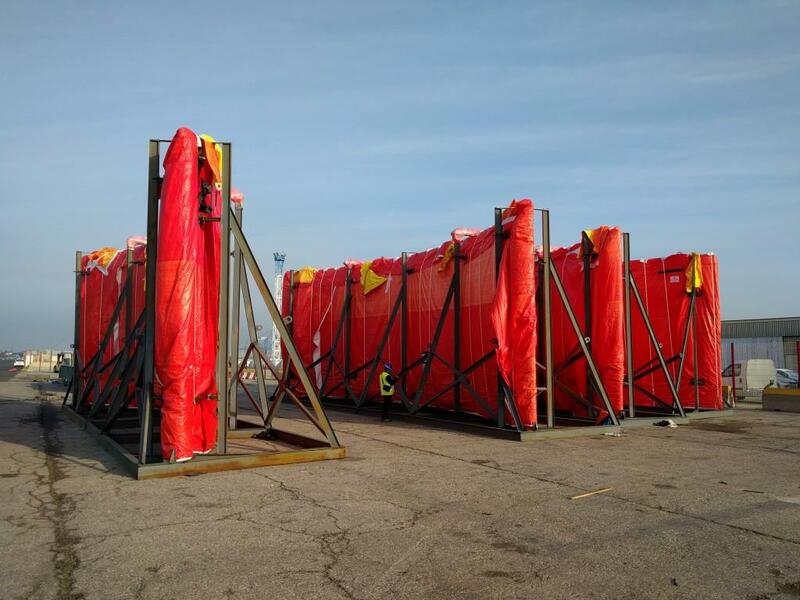 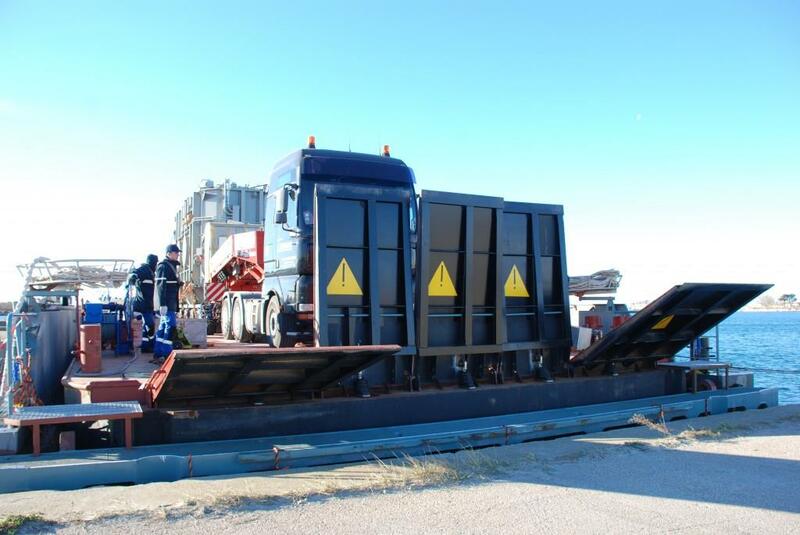 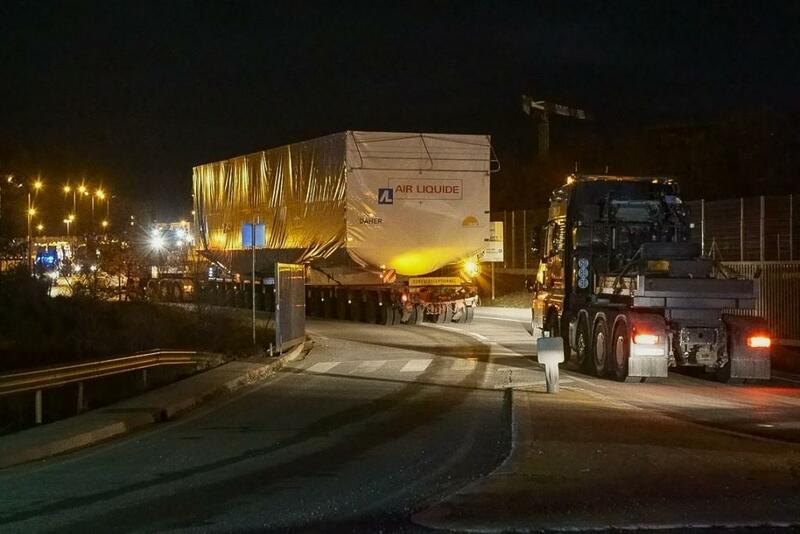 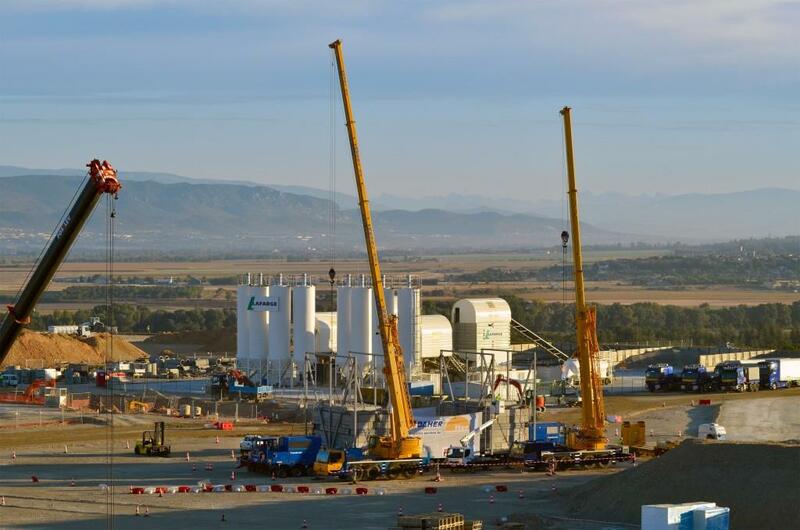 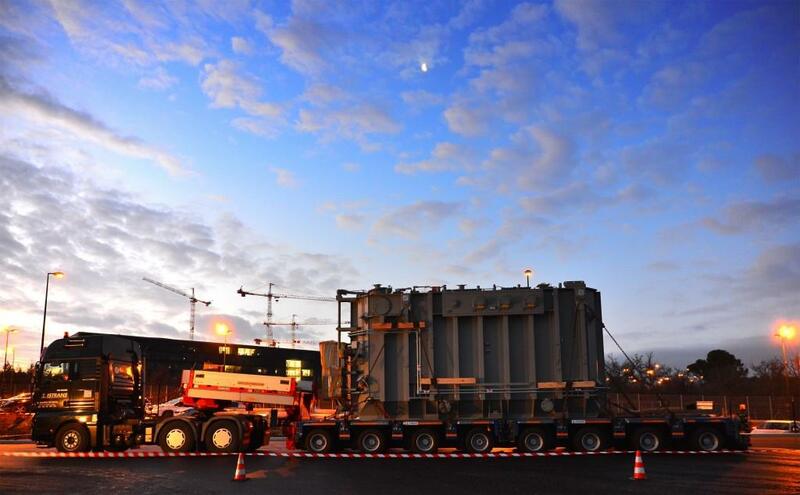 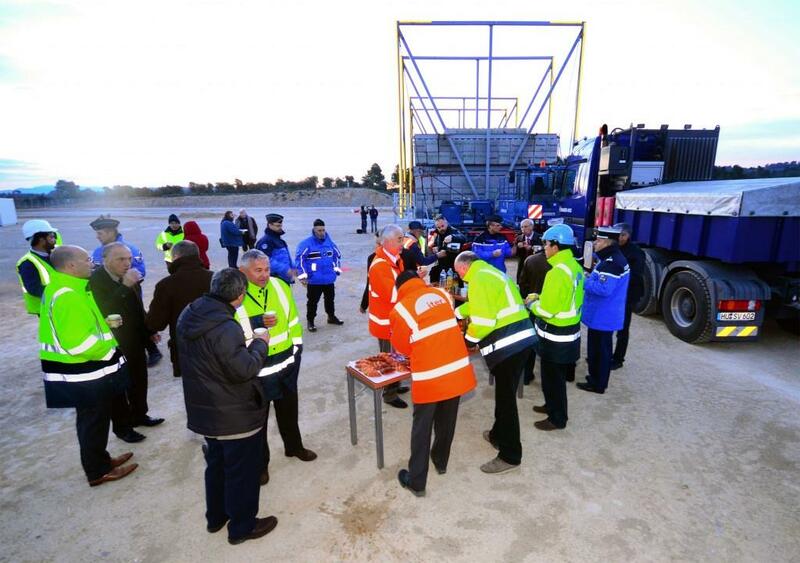 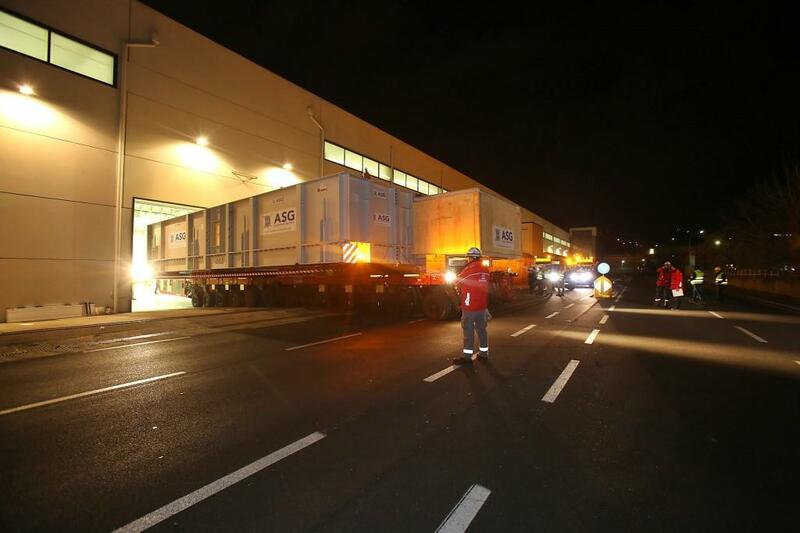 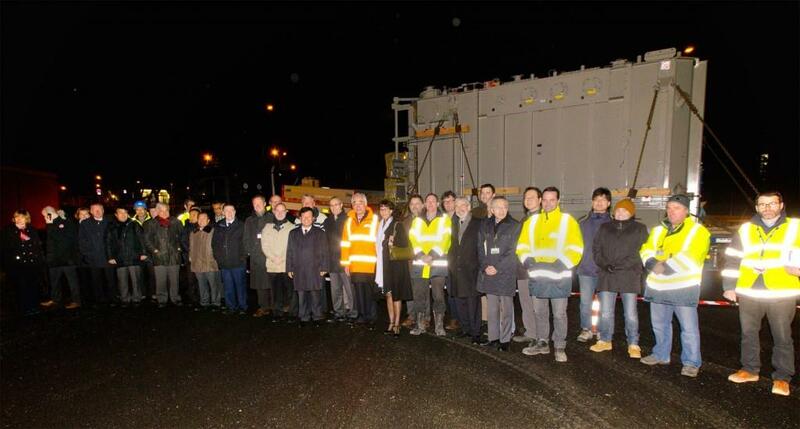 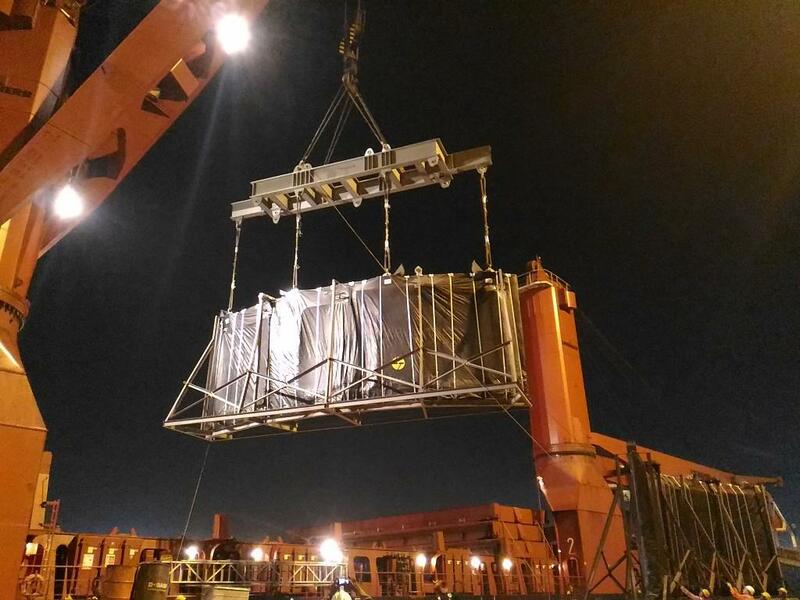 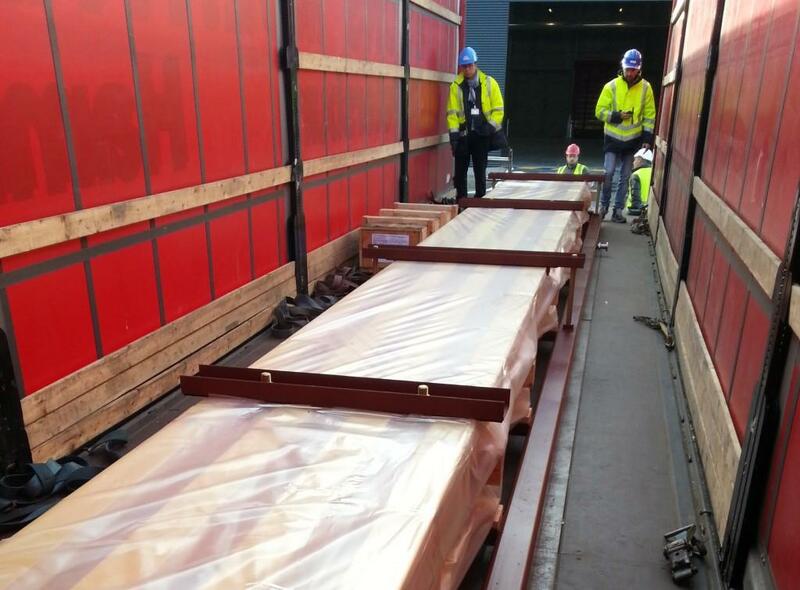 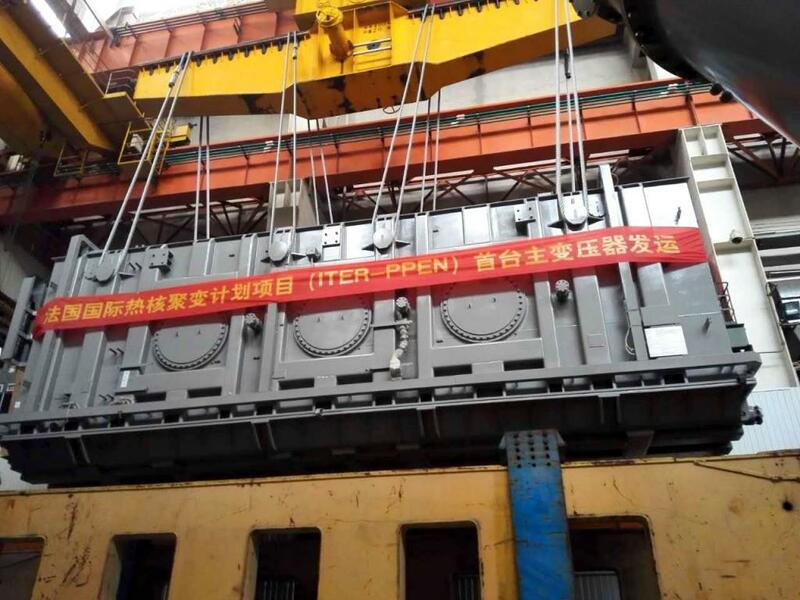 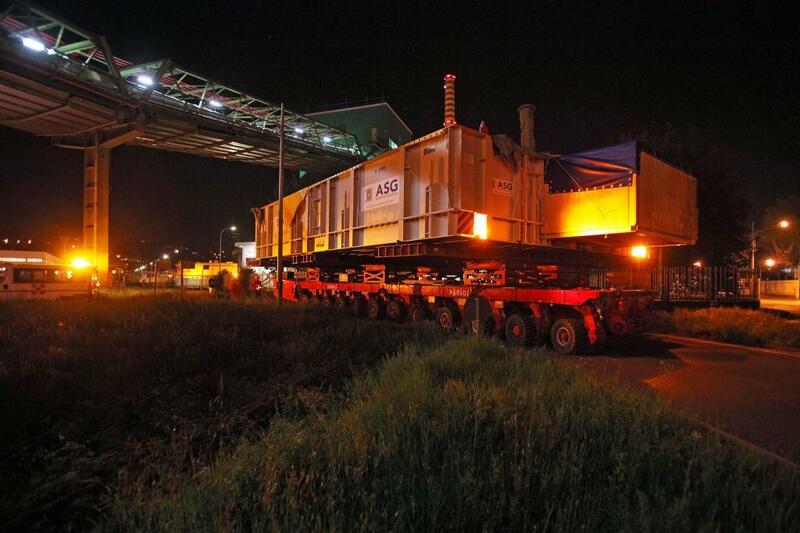 The first extra-large component ("Highly Exceptional Load," or HEL) reached the ITER site on 14 January 2015. 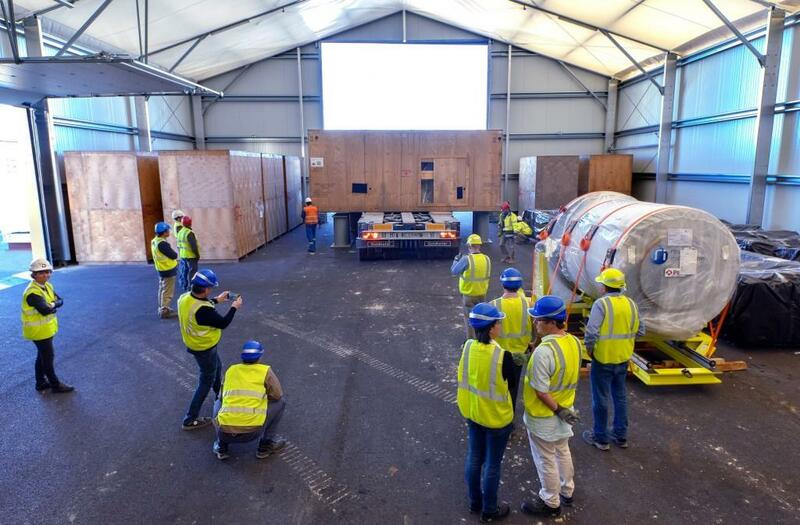 By the end of 2015, the first elements of the ITER machine had reached the site (segments of the ITER cryostat from India). 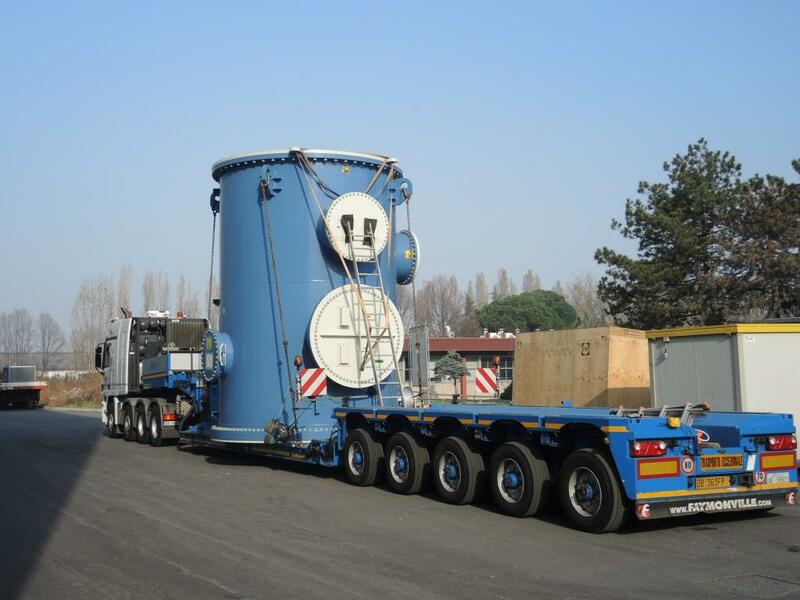 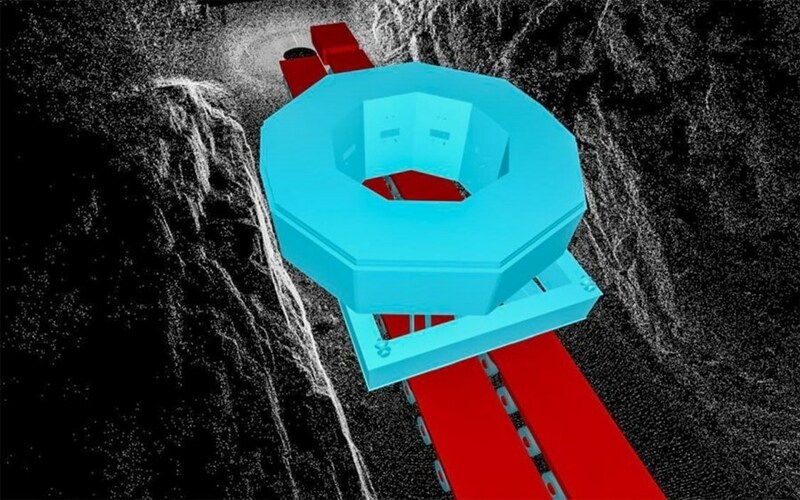 The largest components to travel along the ITER Itinerary will be the nine sectors of the ITER vacuum vessel from Europe and Korea, and the nineteen toroidal field coils from Europe and Japan. 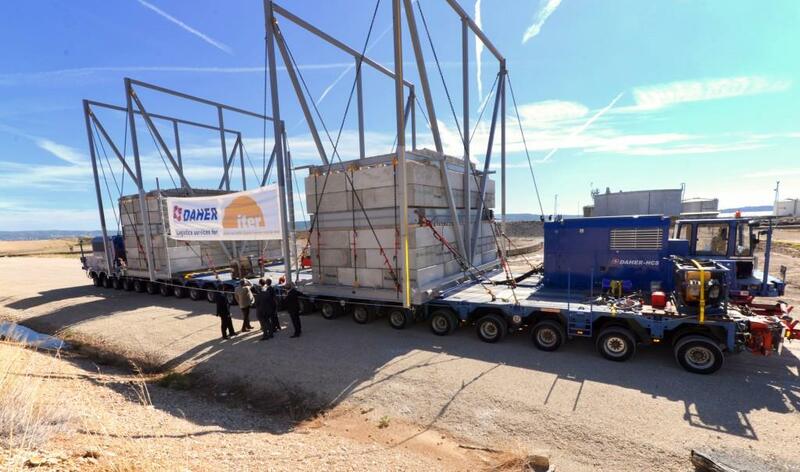 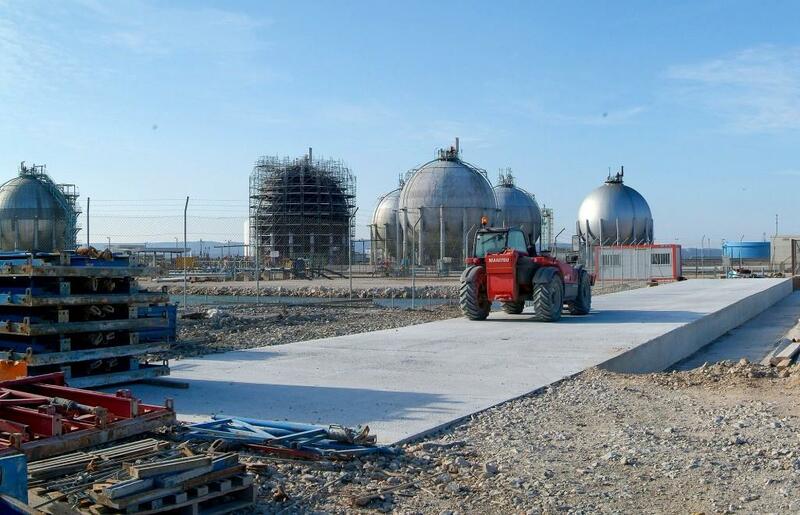 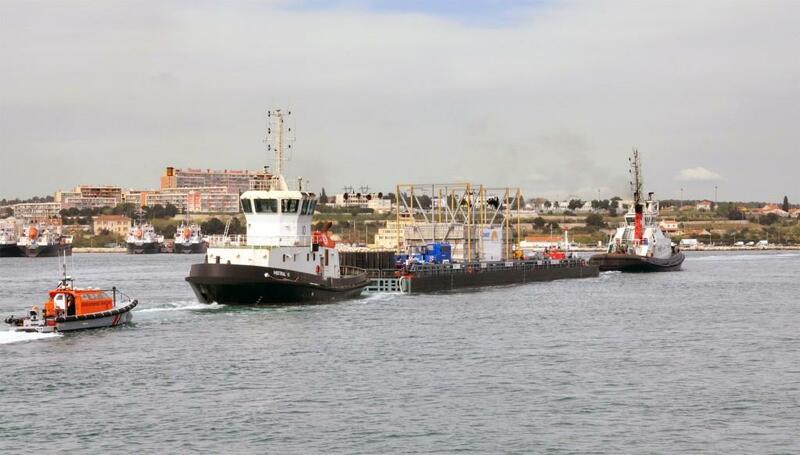 For all components sent by the Domestic Agencies, the European Domestic Agency will provide transportation services to the ITER site from the Mediterranean harbour of Fos-sur-Mer (or in the case of air transport, from Marseille-Provence airport). 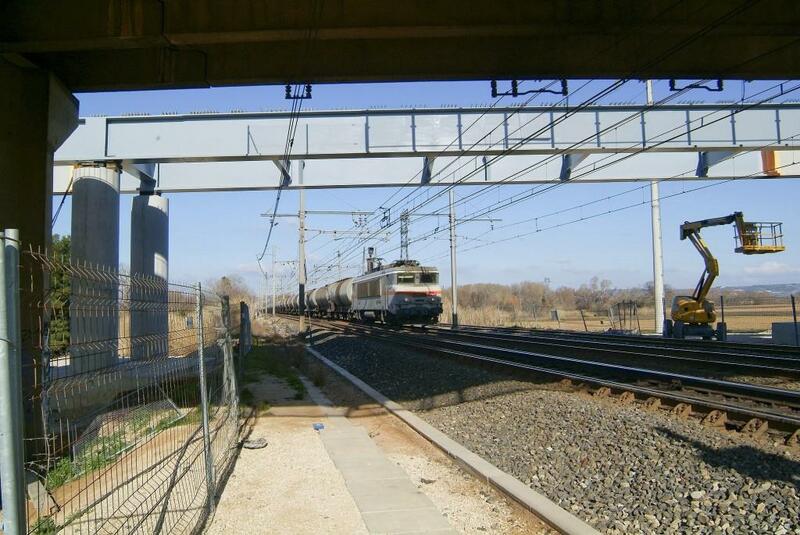 Up to these points, the expense of transport lies with each sending Domestic Agency. 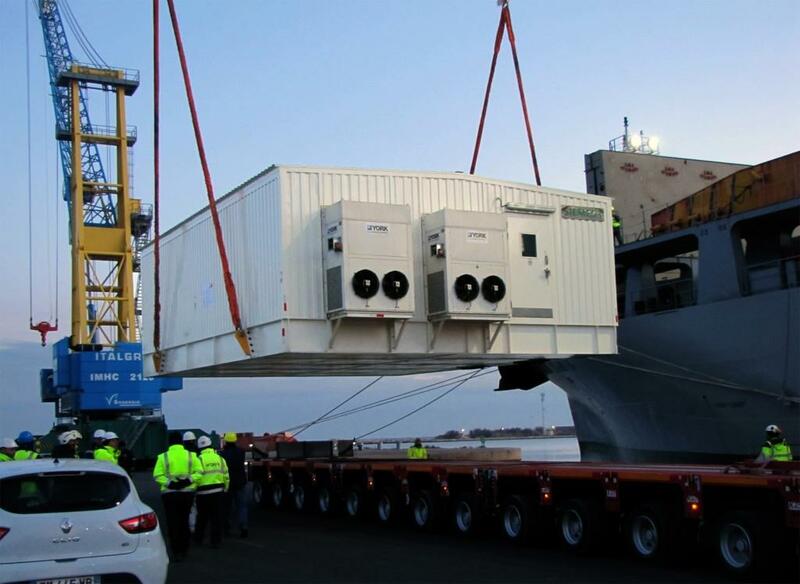 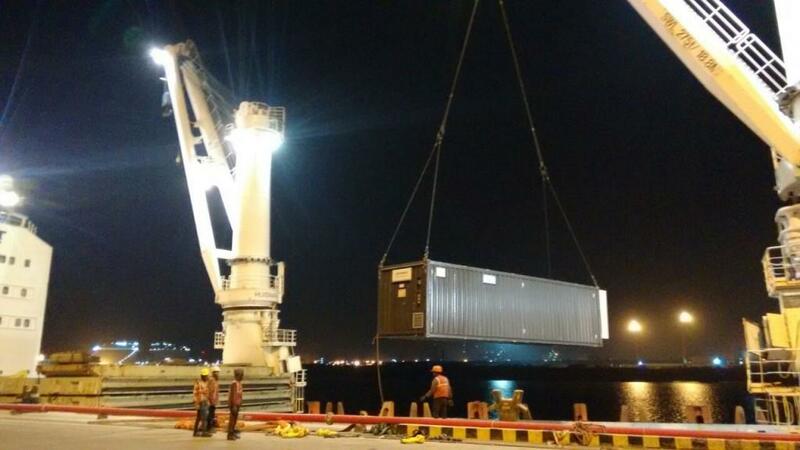 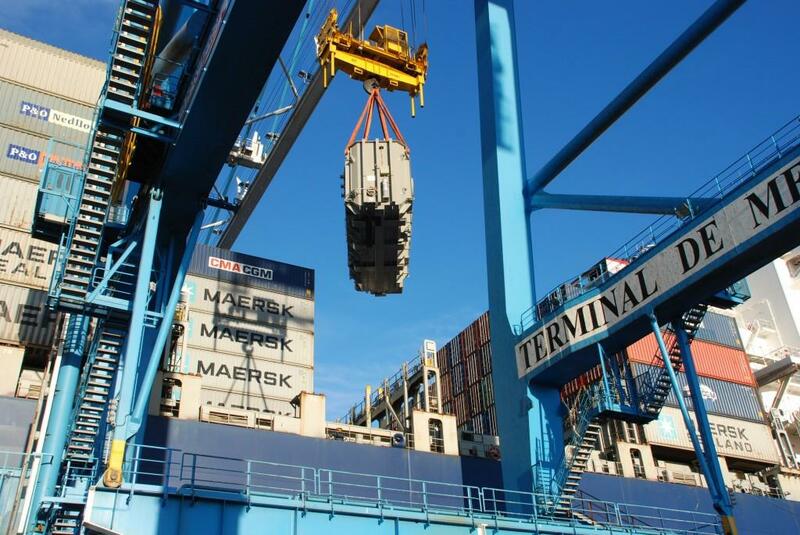 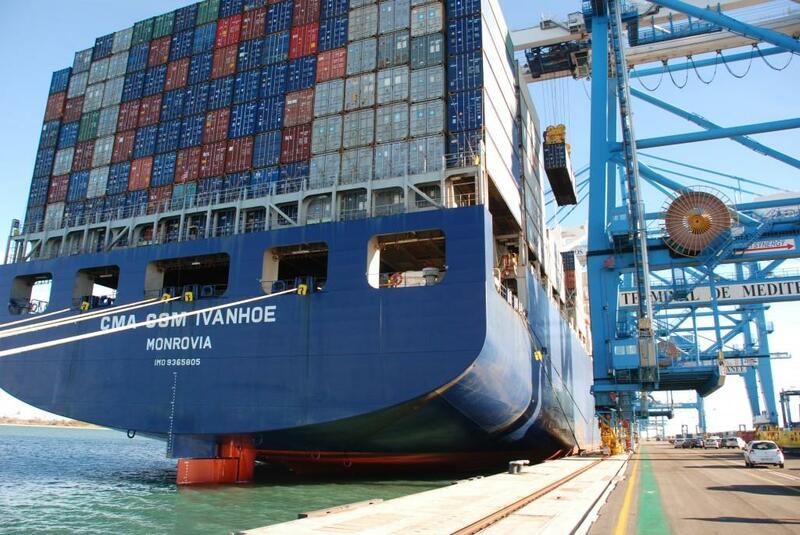 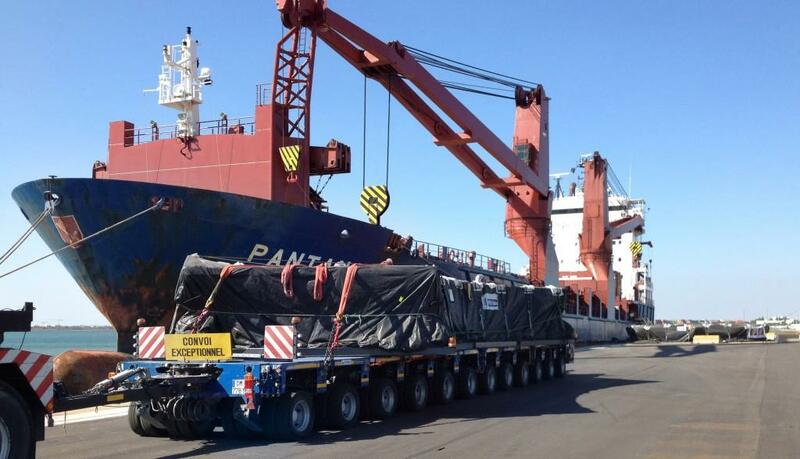 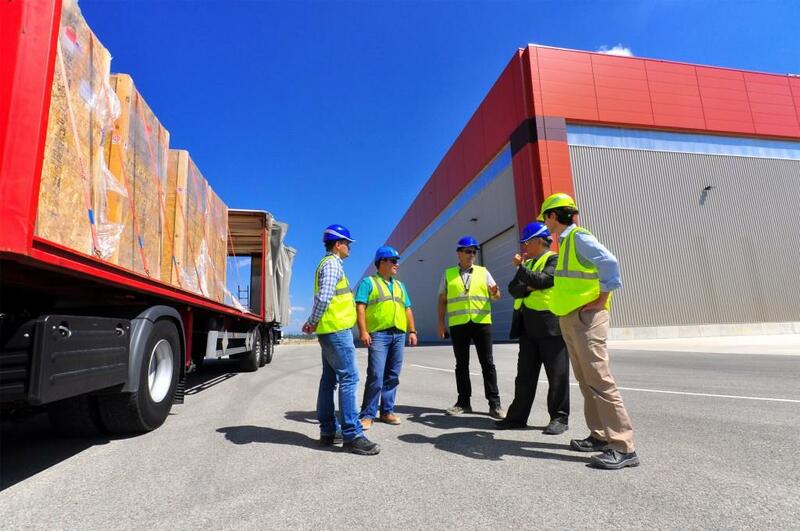 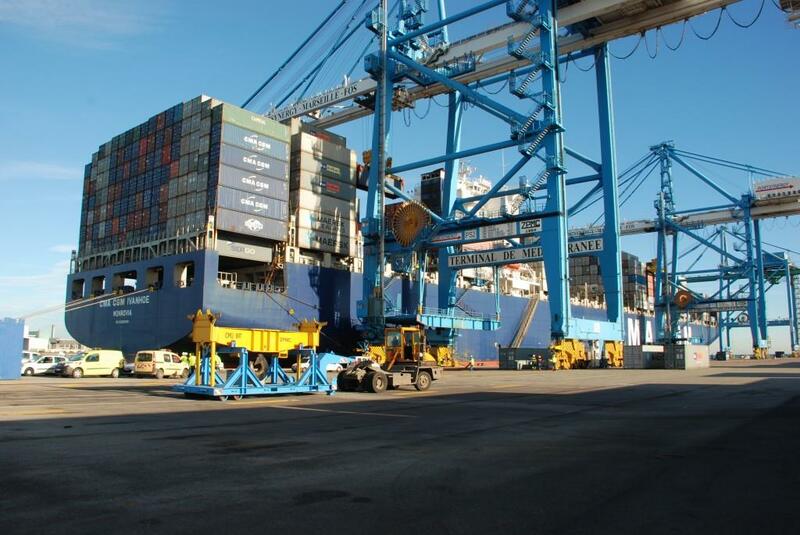 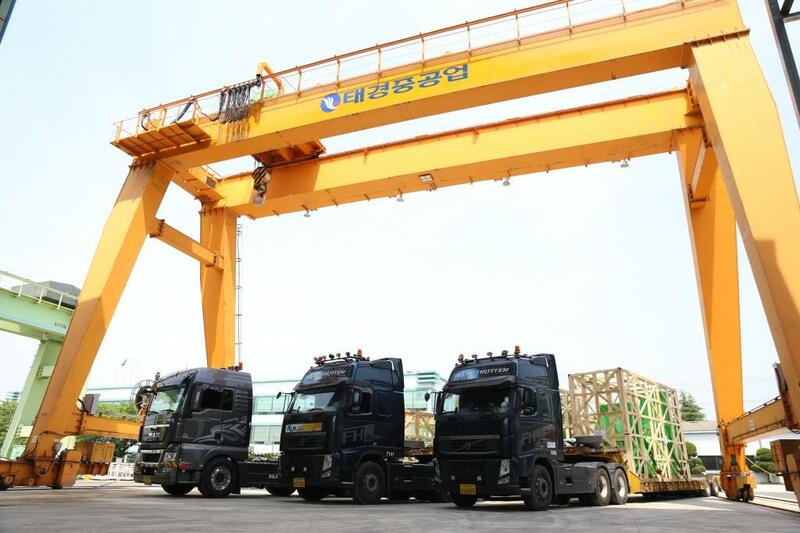 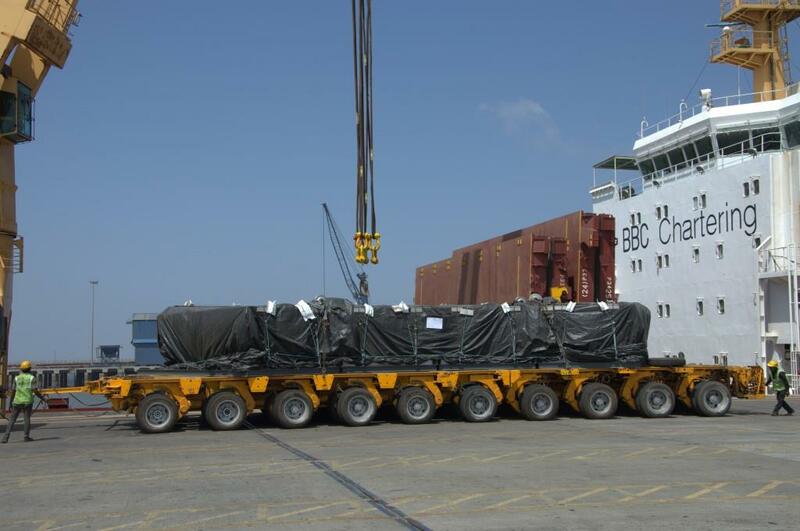 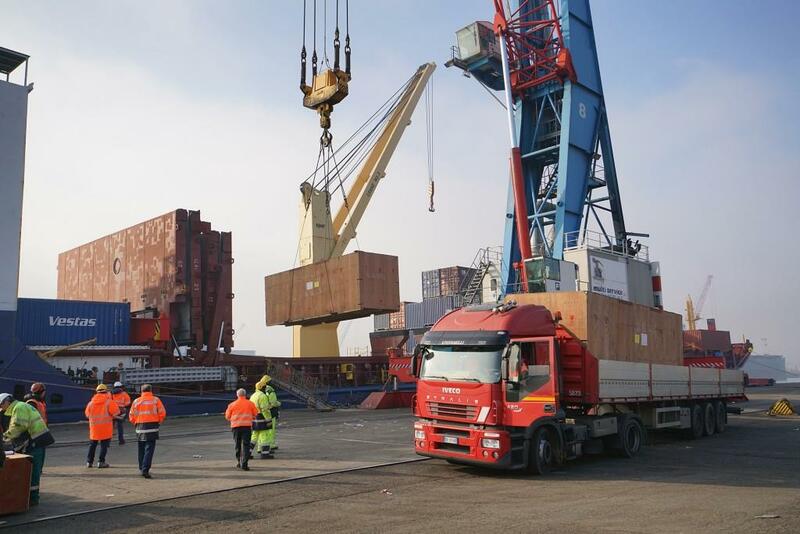 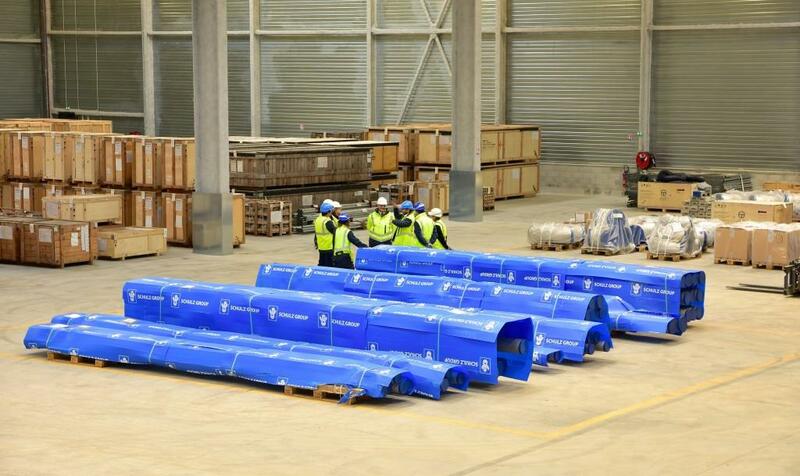 For the management of in-kind contributions to ITER shipped from destinations on three continents, the ITER Organization and all Domestic Agencies will work with a global Logistics Service Provider (LSP) for the transportation, logistics and insurance needs associated with these deliveries. 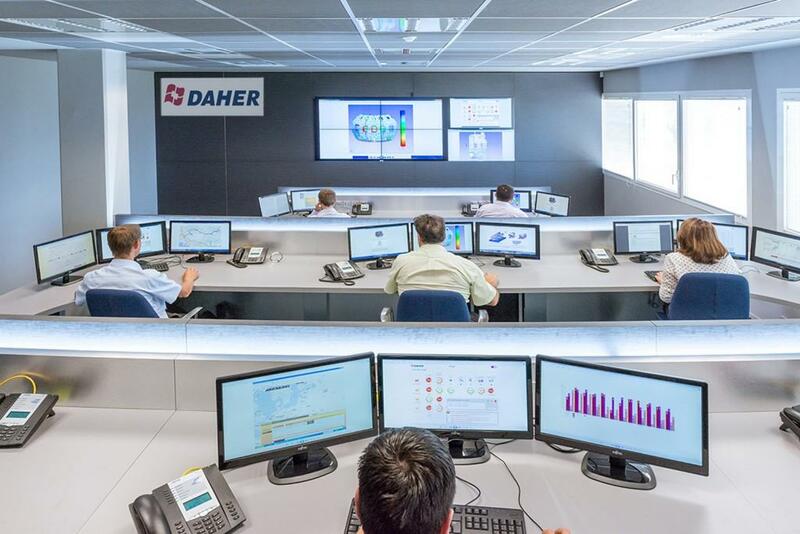 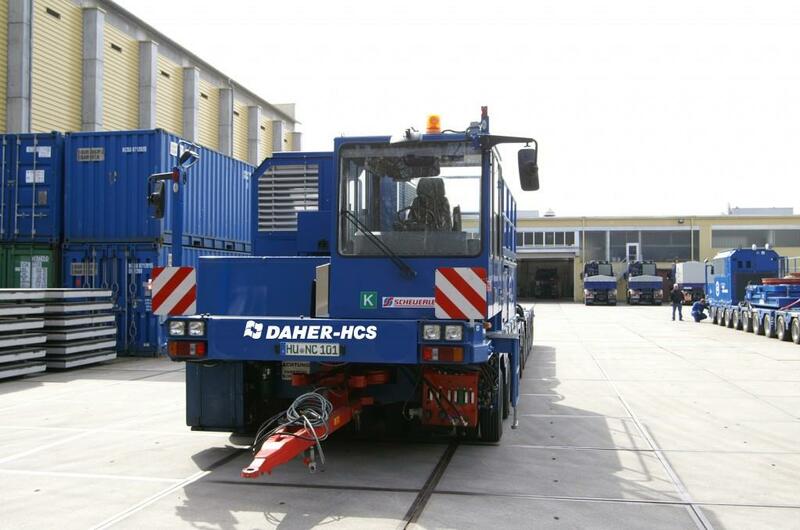 The LSP Framework Contract, signed in February 2012 with DAHER, covers all necessary transport and insurance services beginning at each supplier's factory, and continuing on through delivery to the final location. 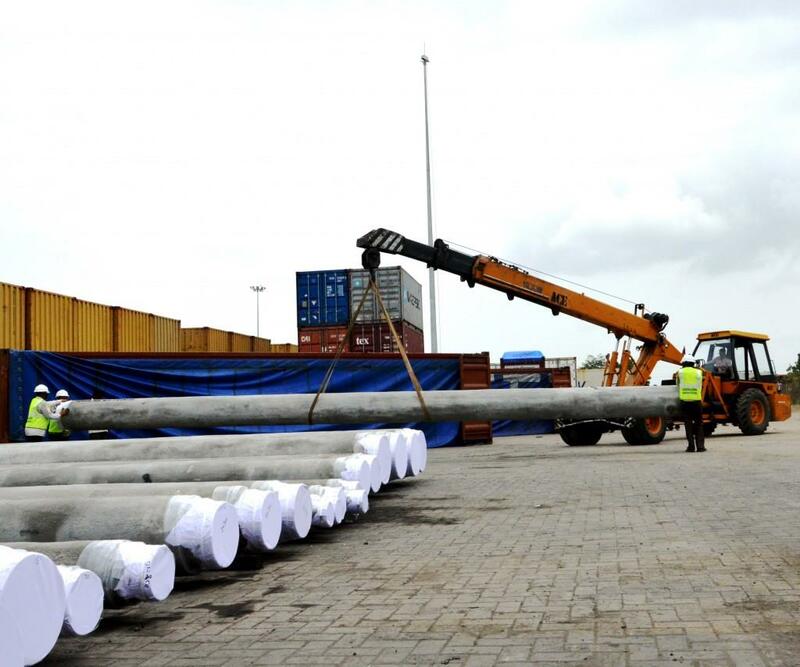 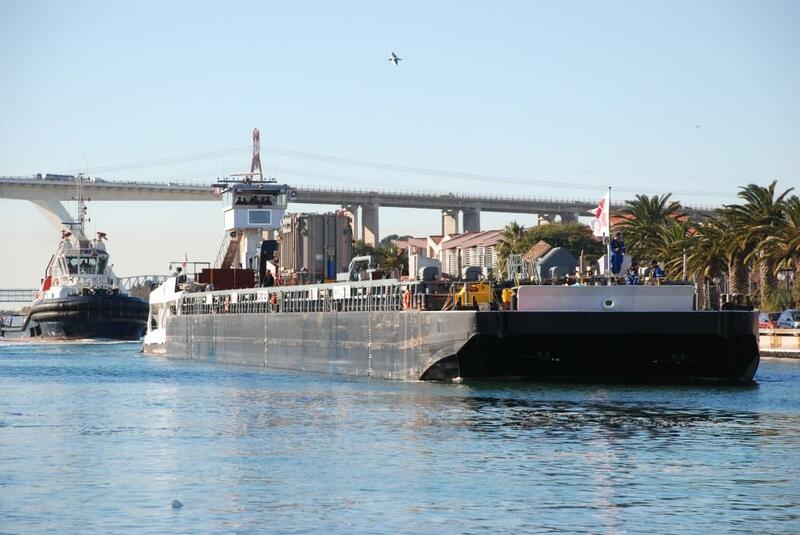 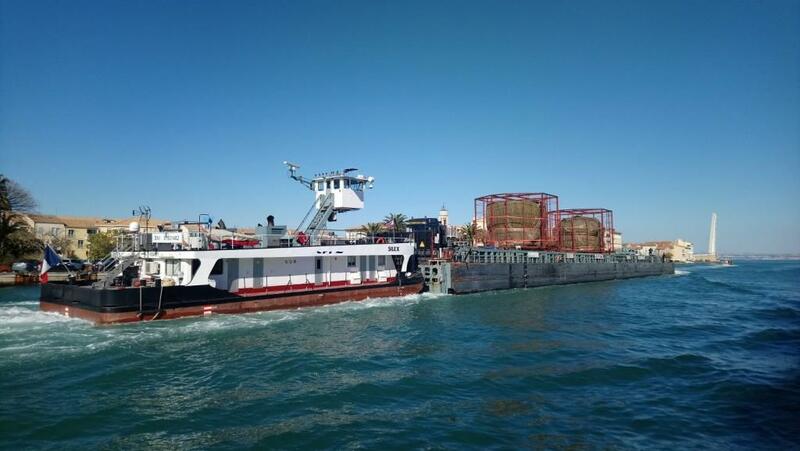 All modes of transportation are envisaged within the scope of the contract, including ocean, air, road, rail, and river/canal freight. 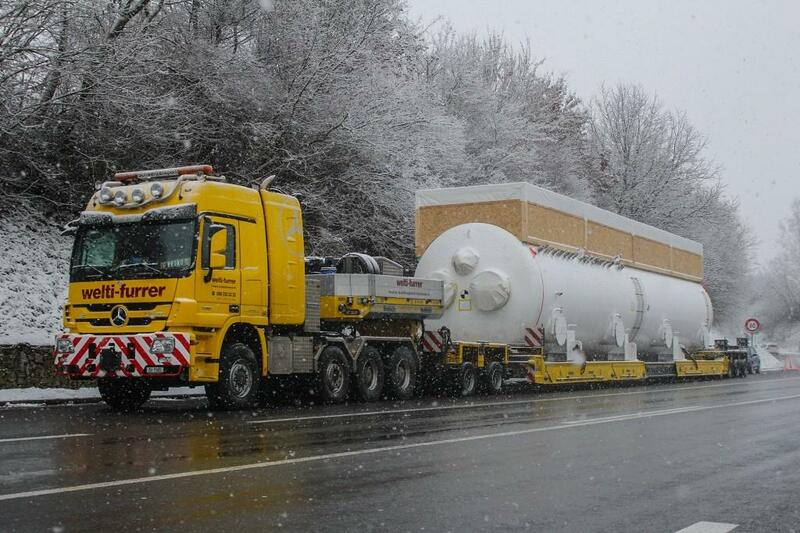 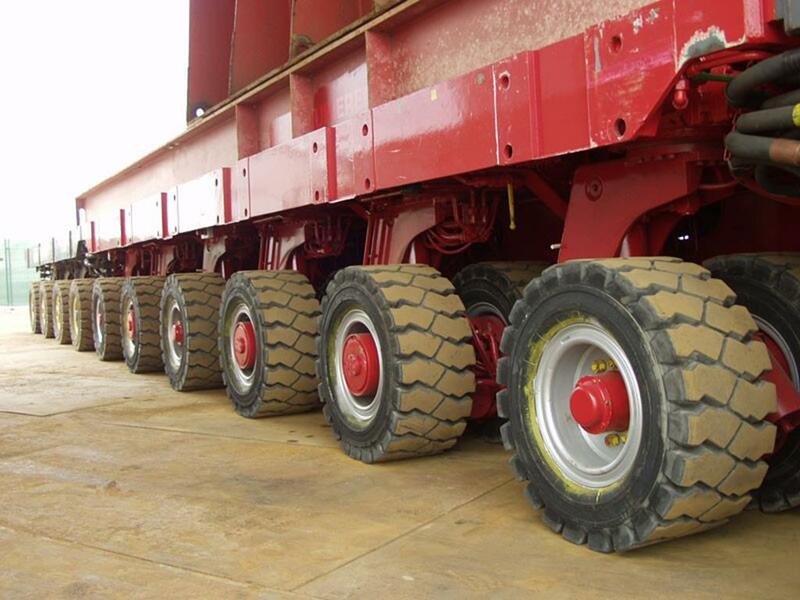 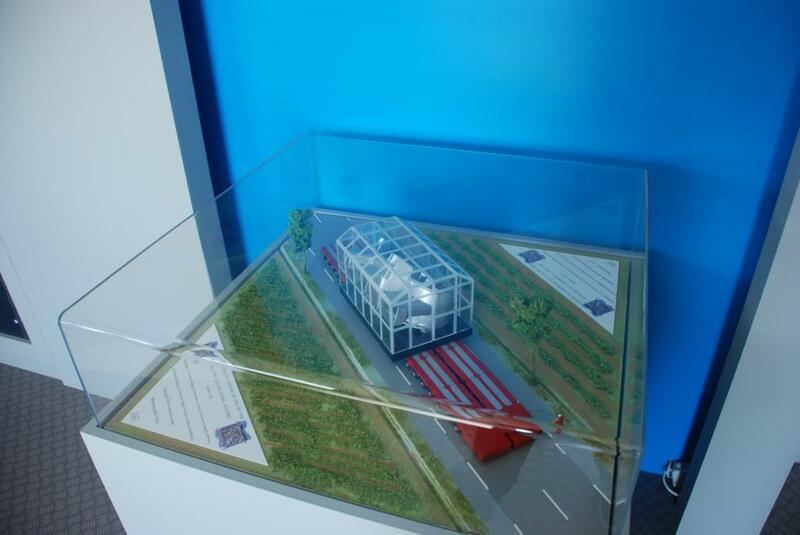 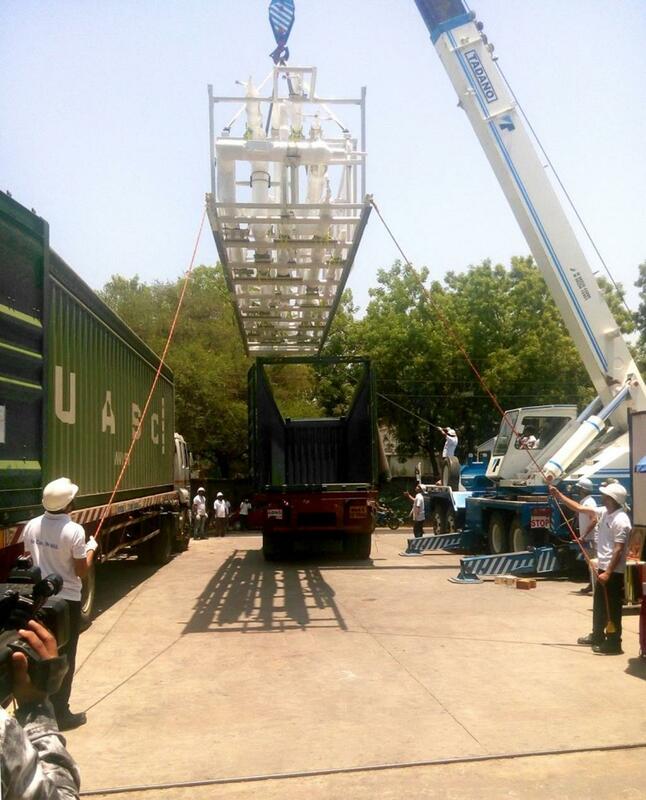 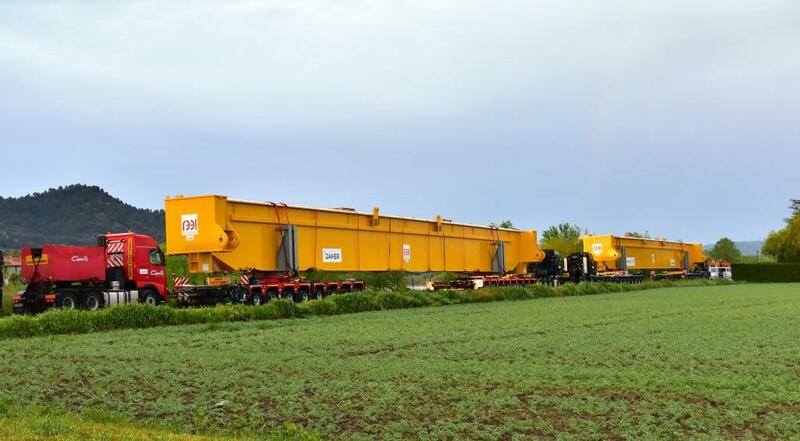 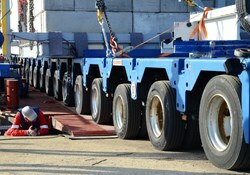 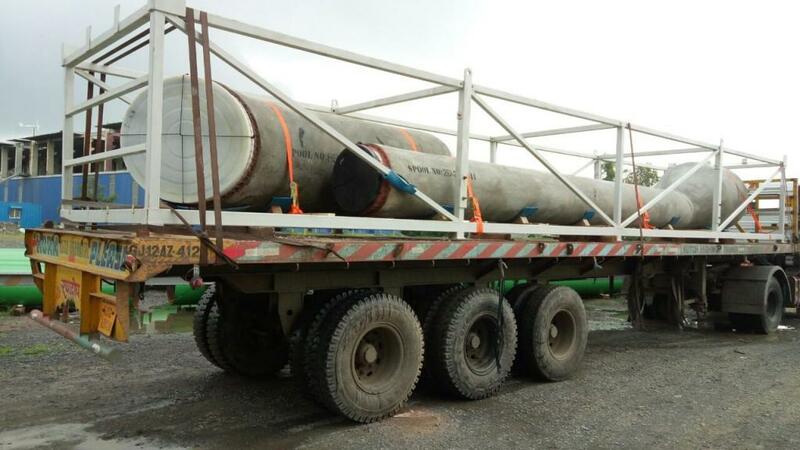 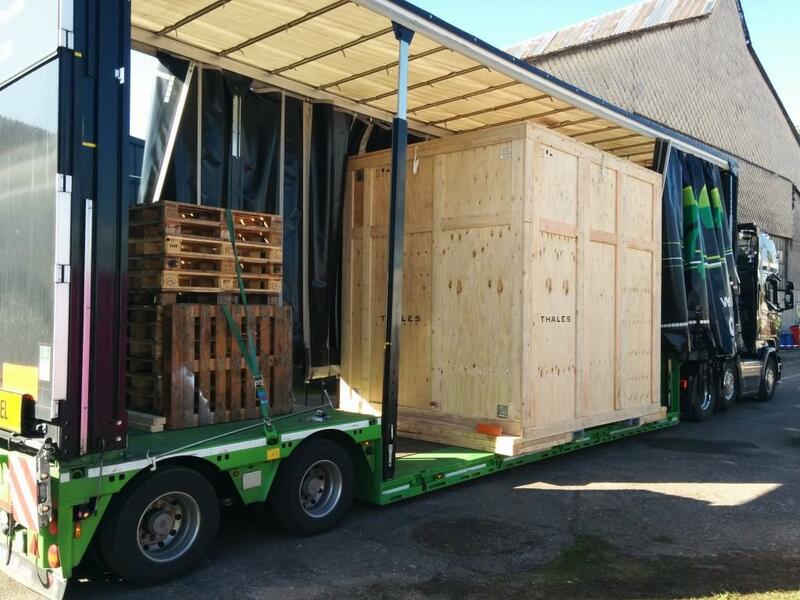 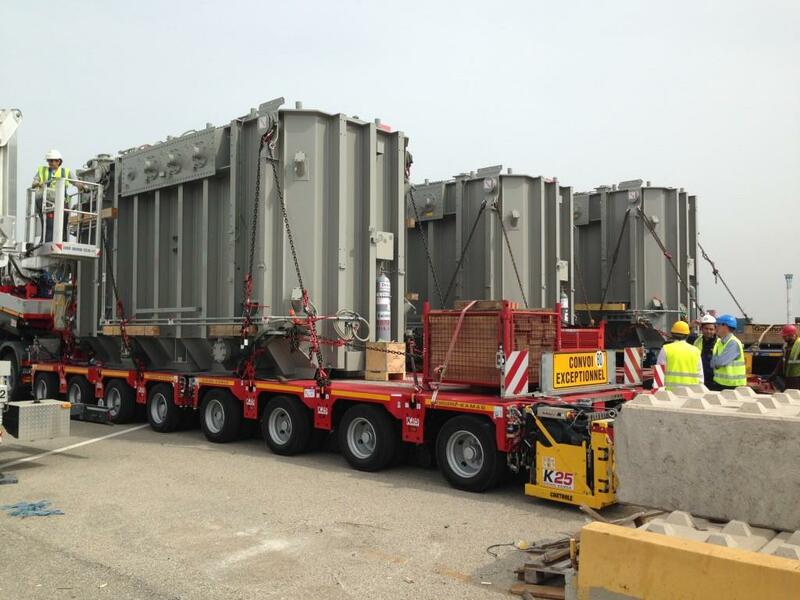 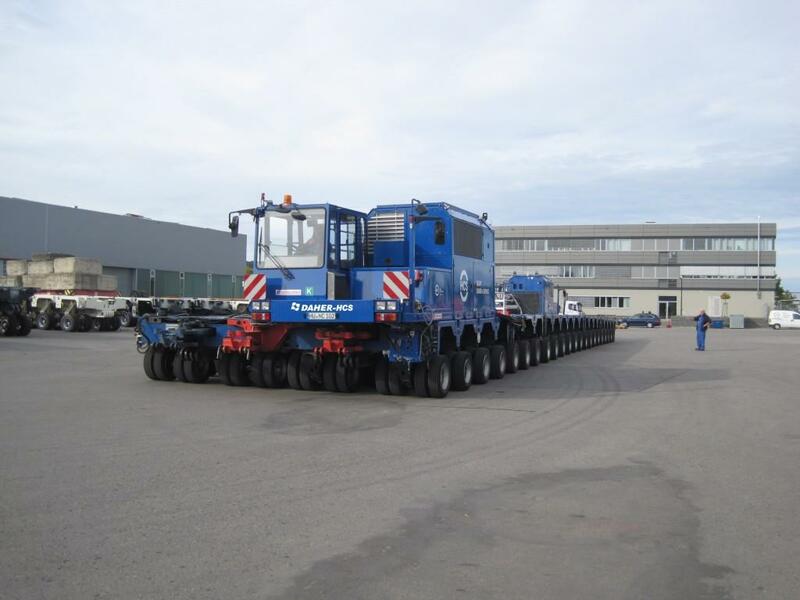 This is the type of trailer will be responsible for transporting ITER's ''exceptional loads'' along the ITER Itinerary. 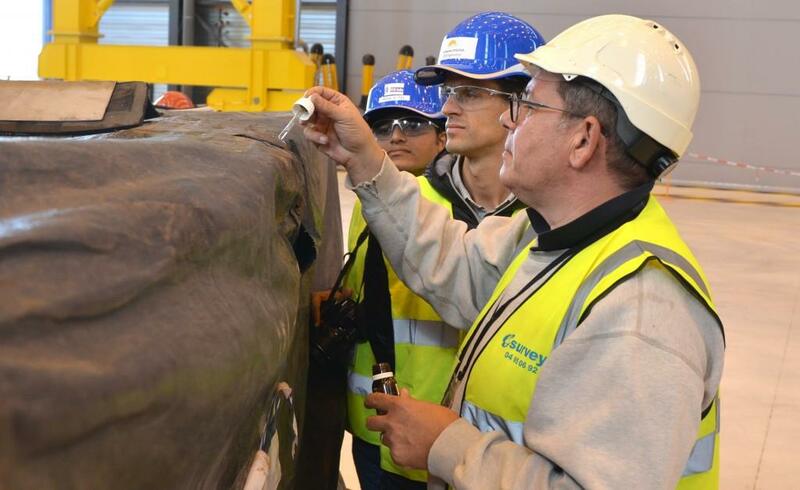 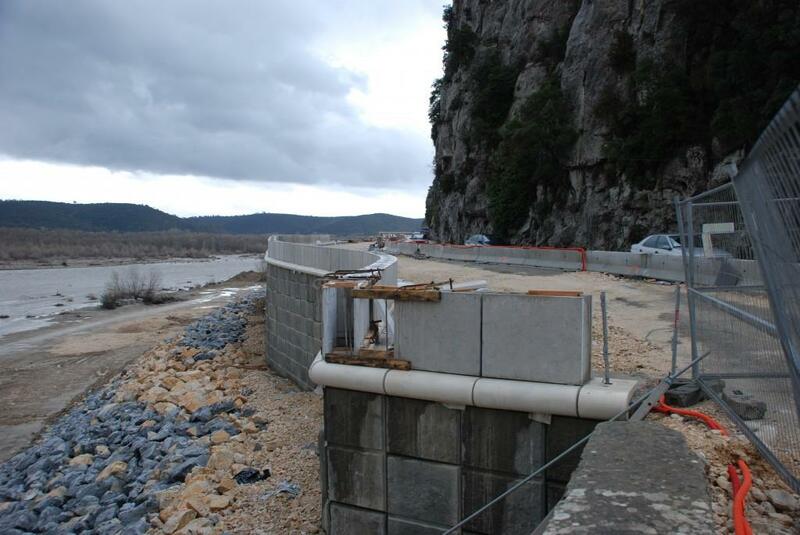 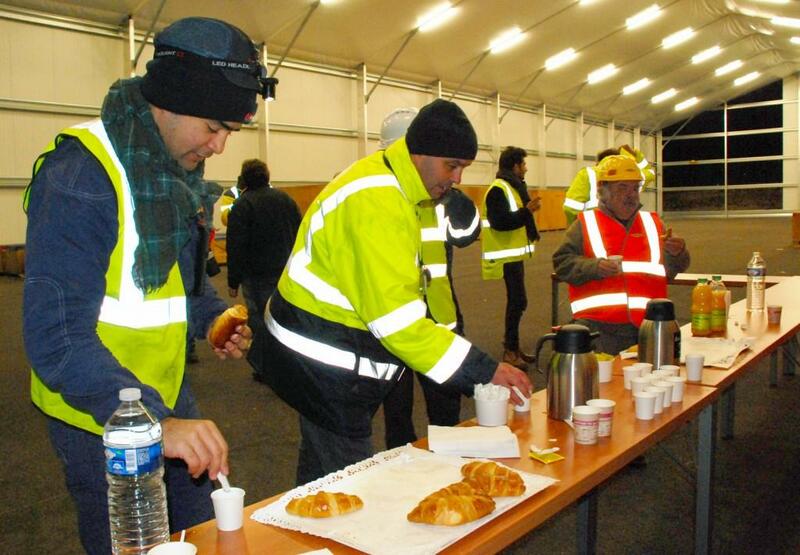 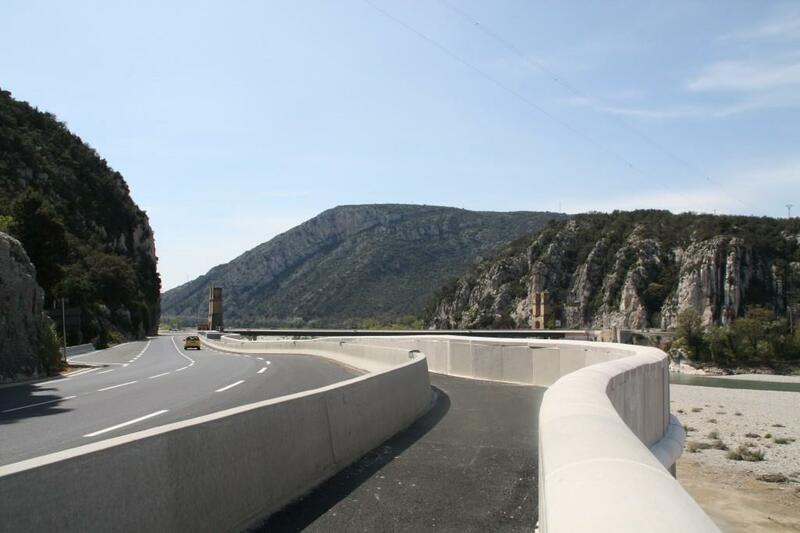 Between 2008 and 2011 large-scale public works were carried out along the 104 kilometres of the ITER Itinerary by the Host state France as part of its commitment to ITER. 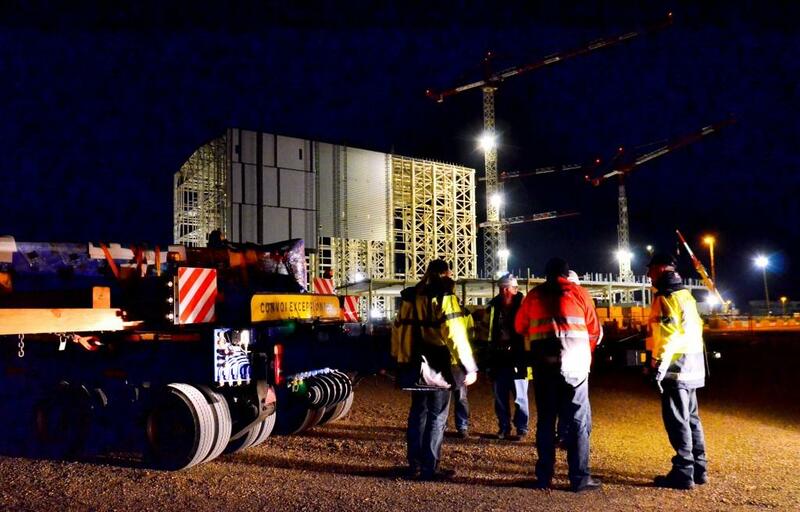 Roads were widened, bridges reinforced and intersections modified in preparation for the exceptional size and weight of some of the Tokamak components. 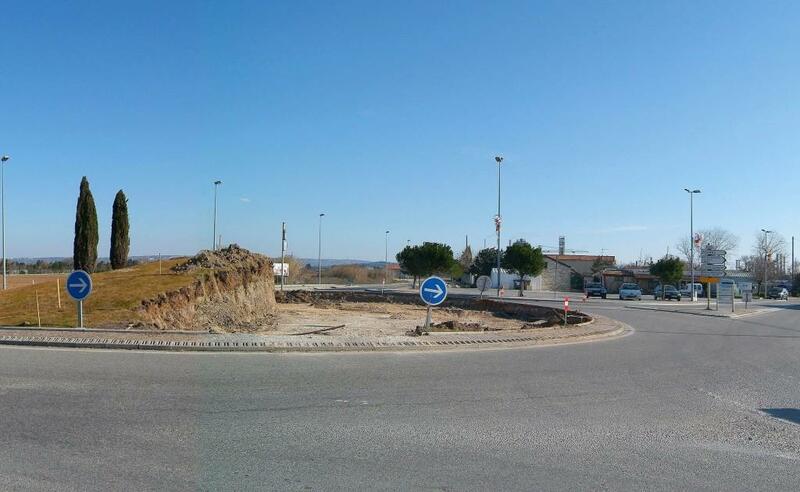 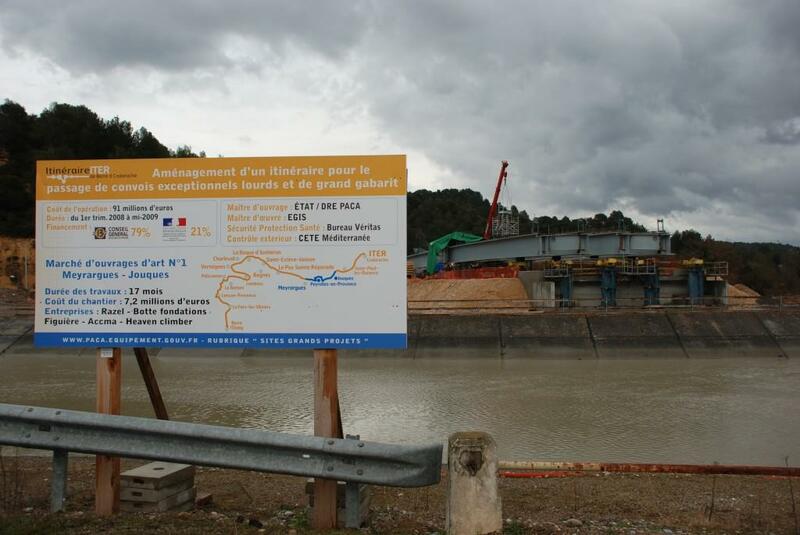 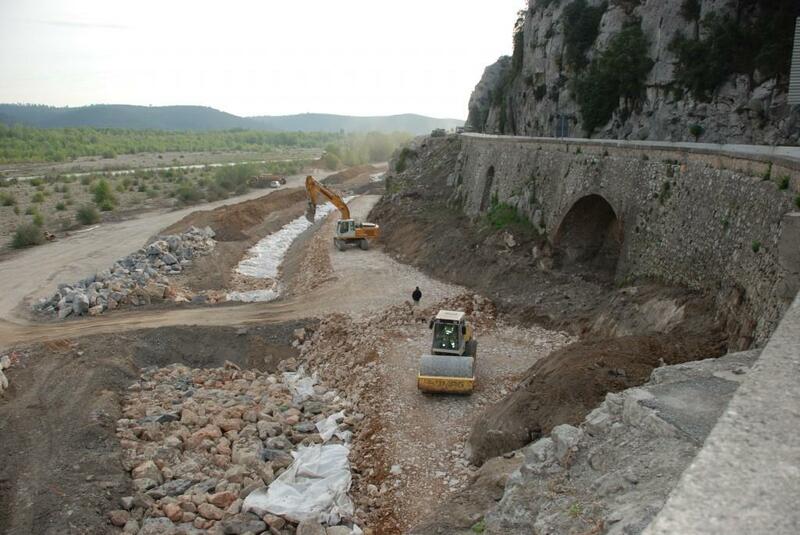 The cost for these road works (EUR 110 million) was shared by the Bouches-du-Rhône département Council (66 percent) and the French State (34 percent). 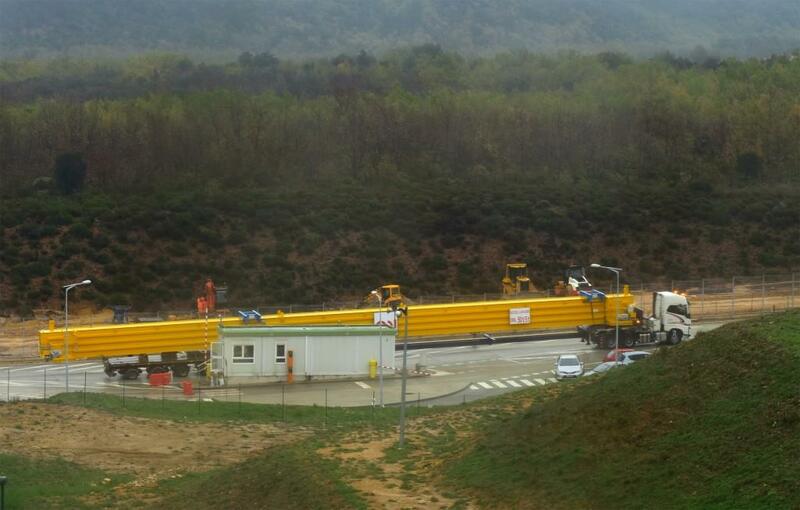 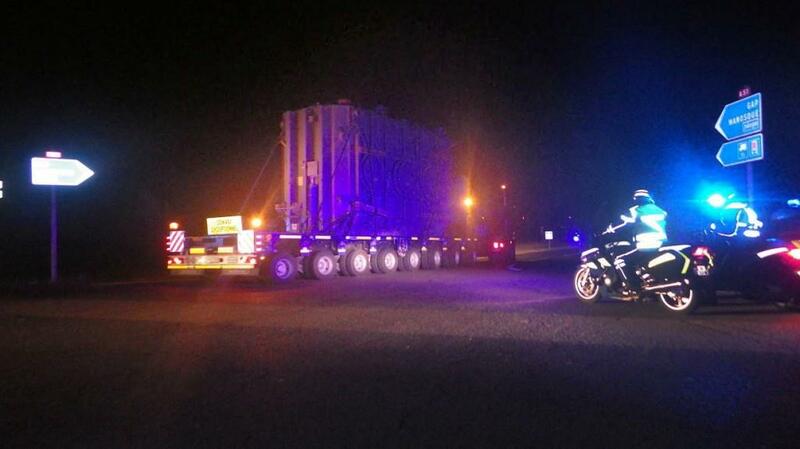 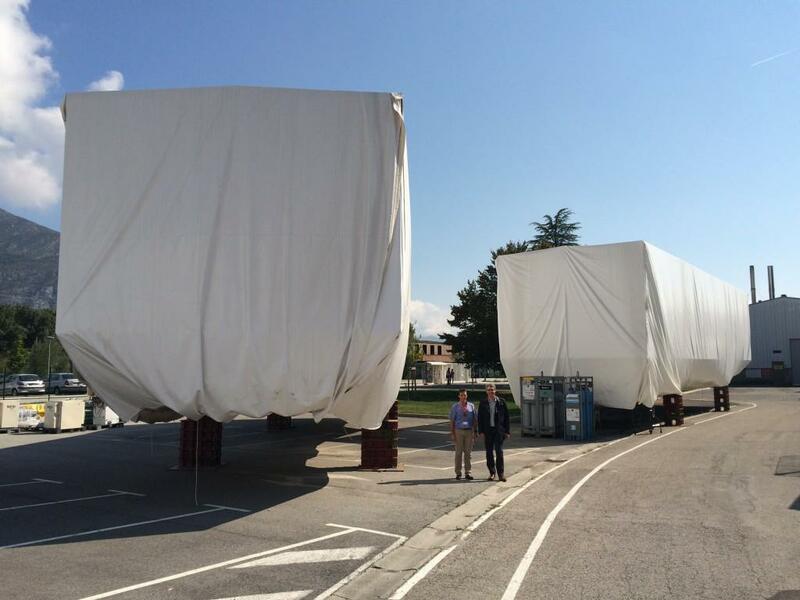 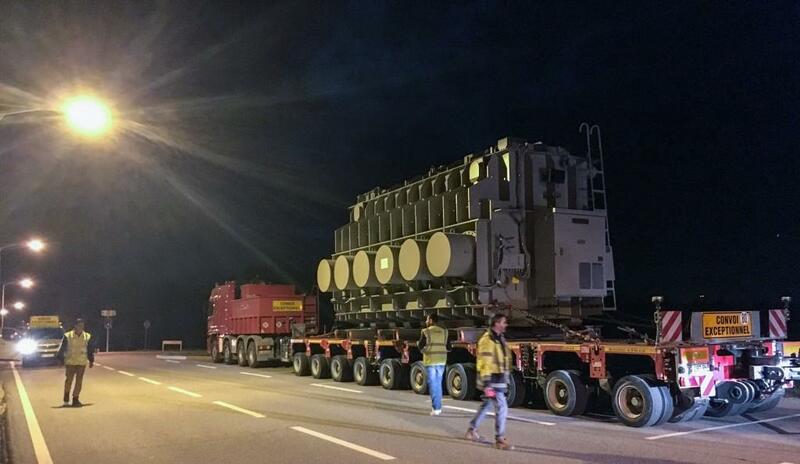 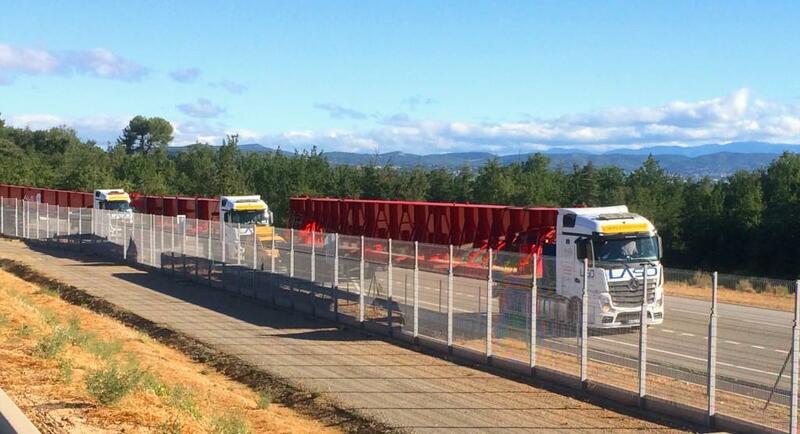 In advance of actual component transport, two test convoys were organized along the ITER Itinerary. 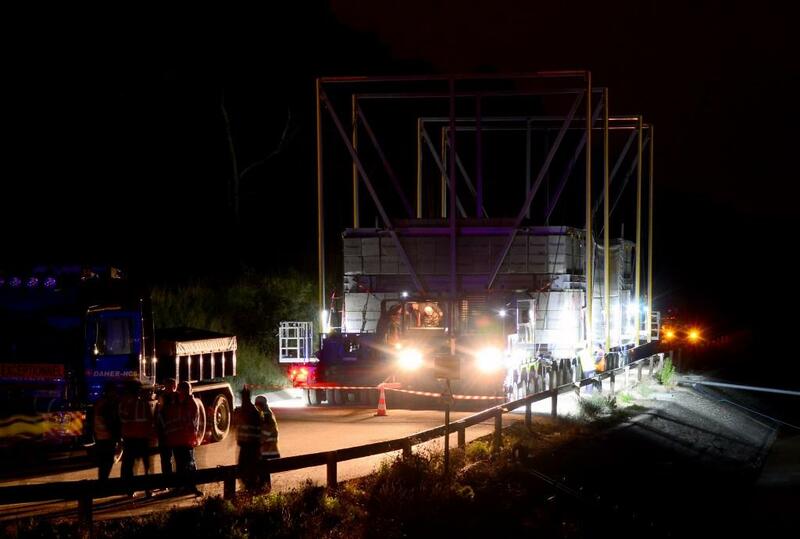 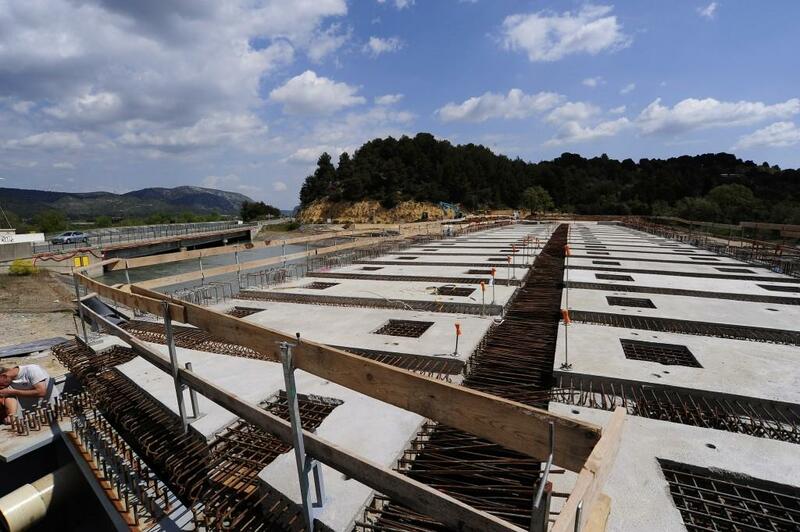 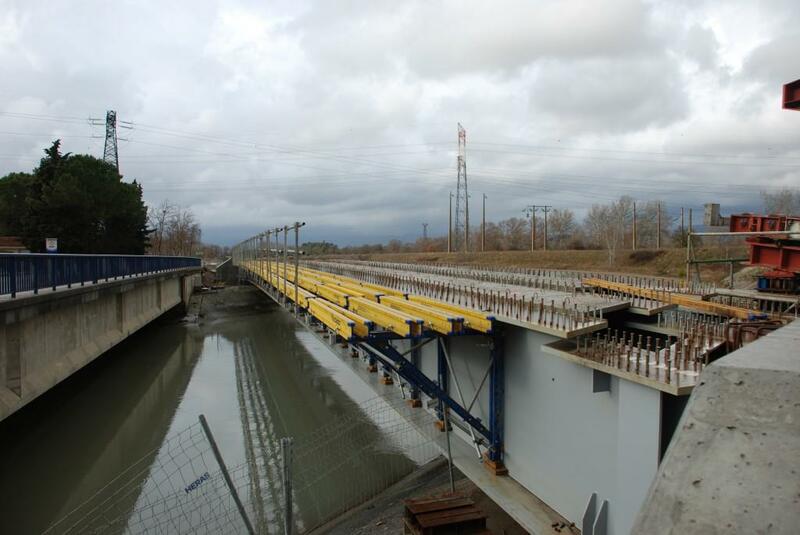 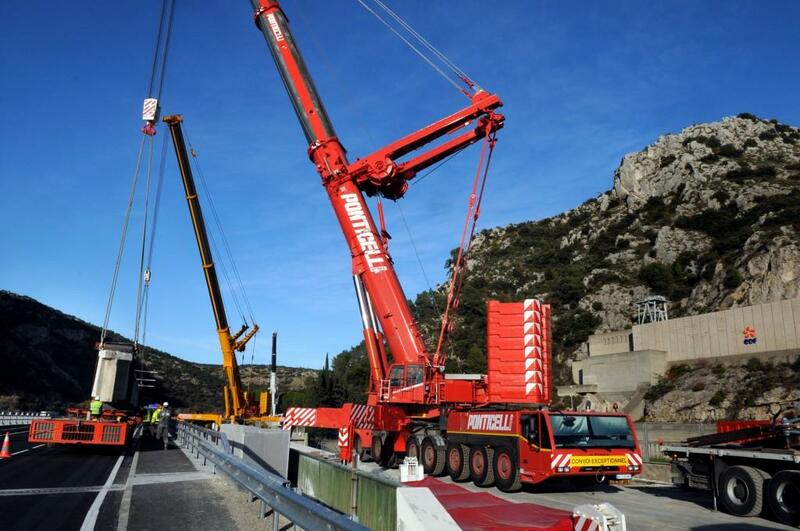 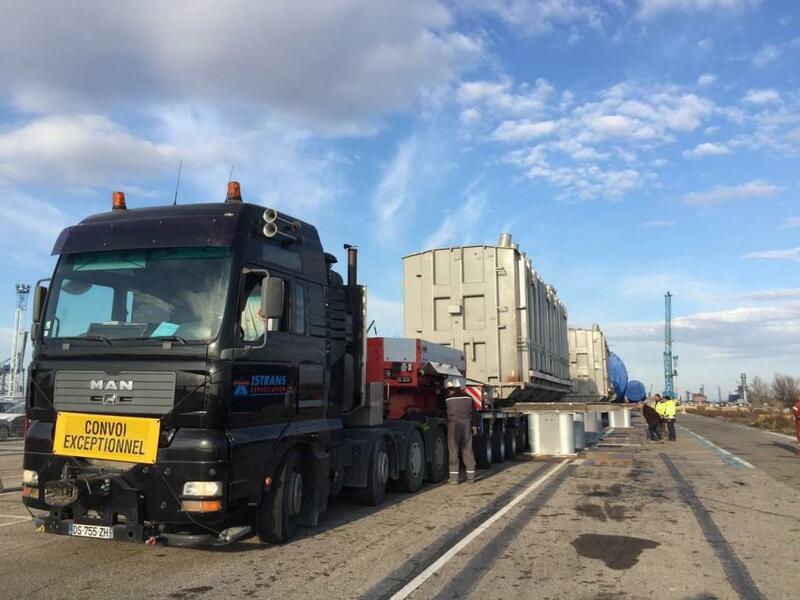 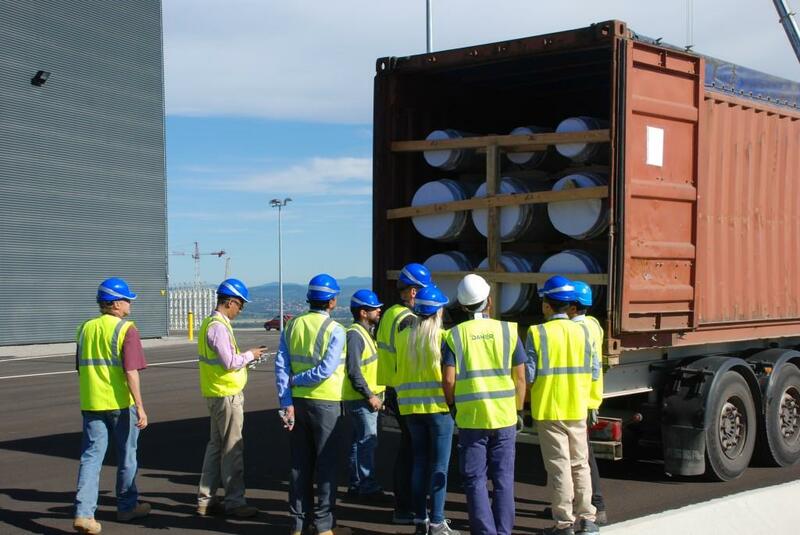 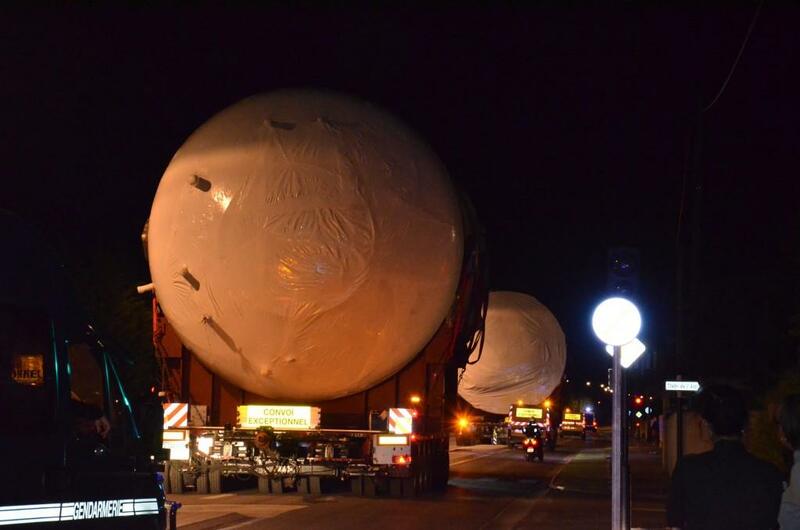 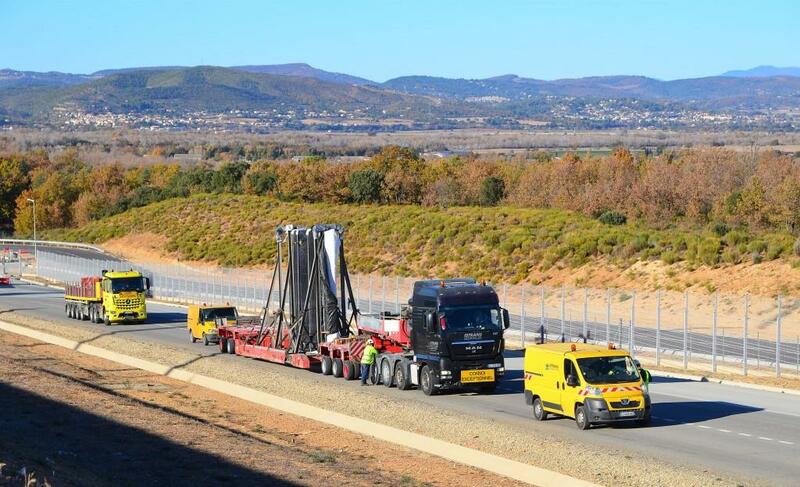 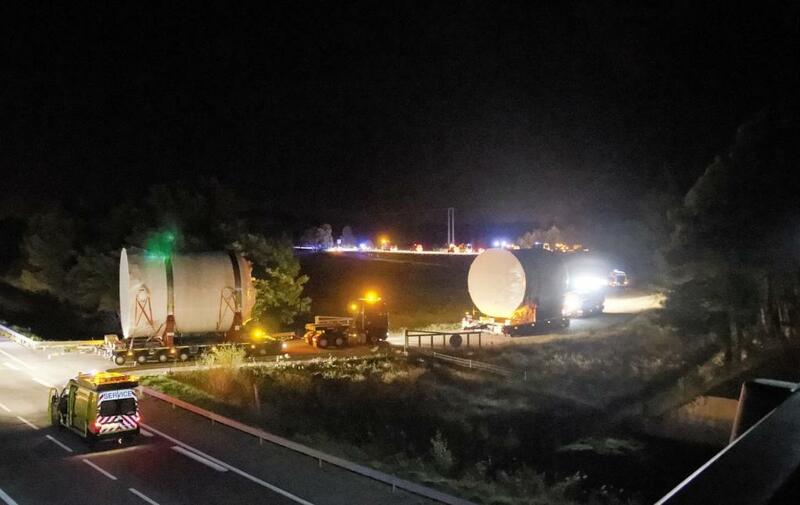 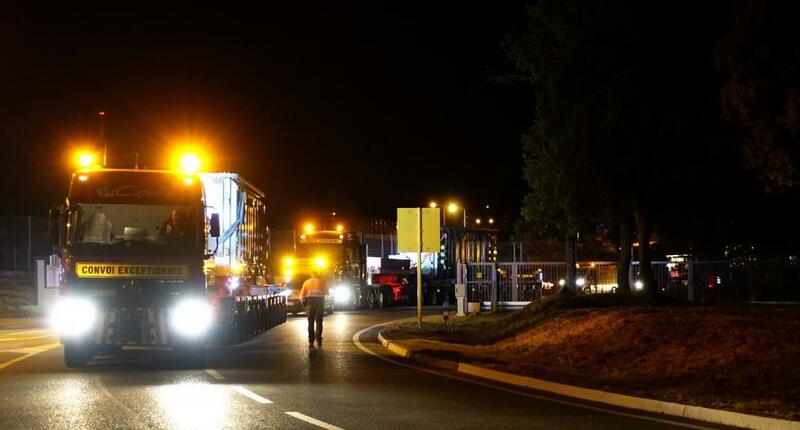 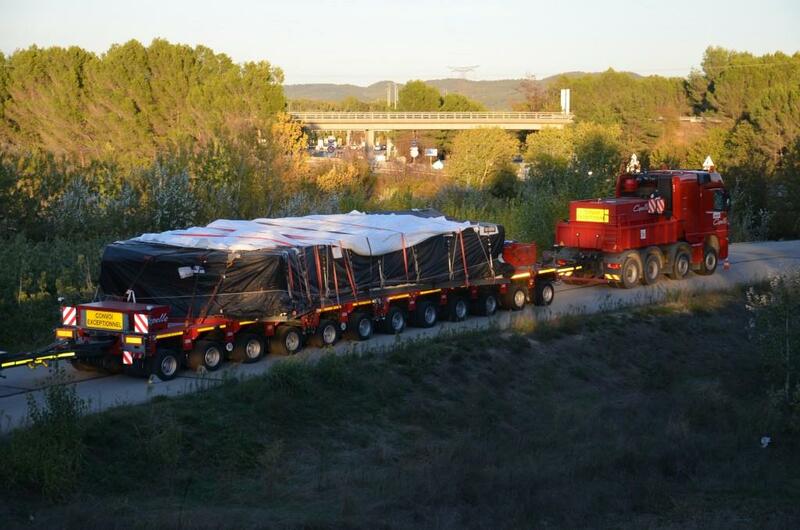 In September 2013, the first of these test convoys, replicating the dimensions of the most exceptional ITER loads, successfully verified that the stresses caused to the roads, bridges and roundabouts of the ITER Itinerary agreed with engineering calculations. 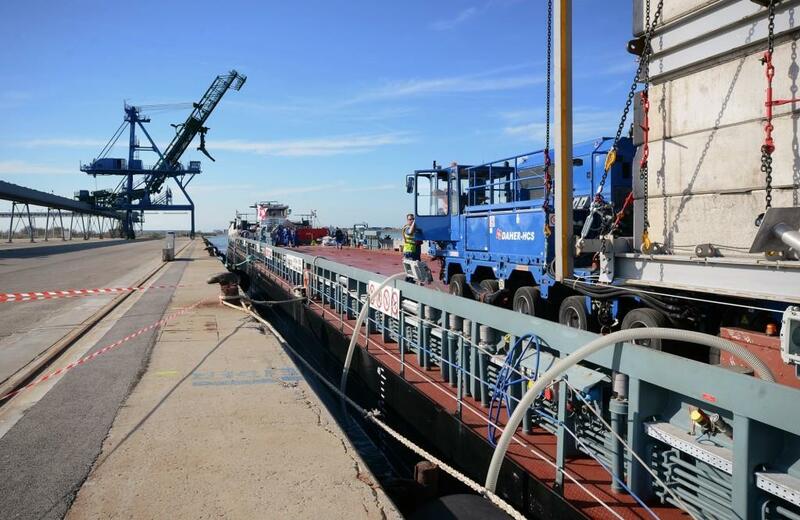 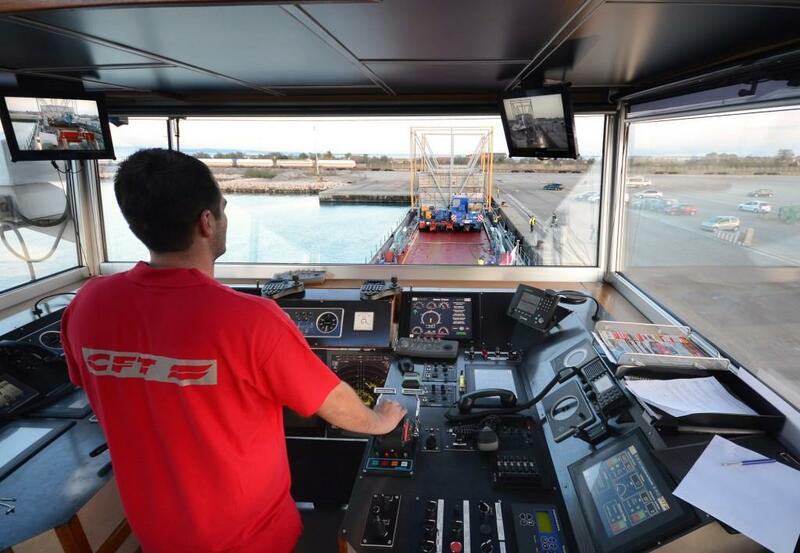 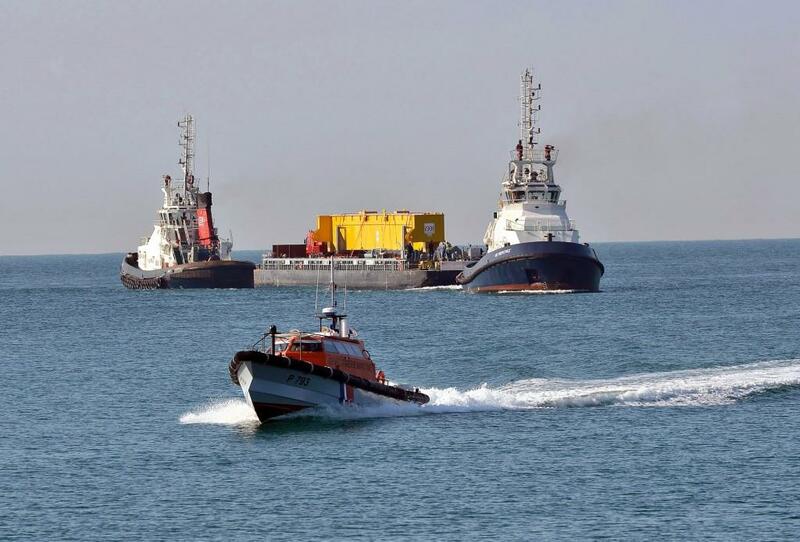 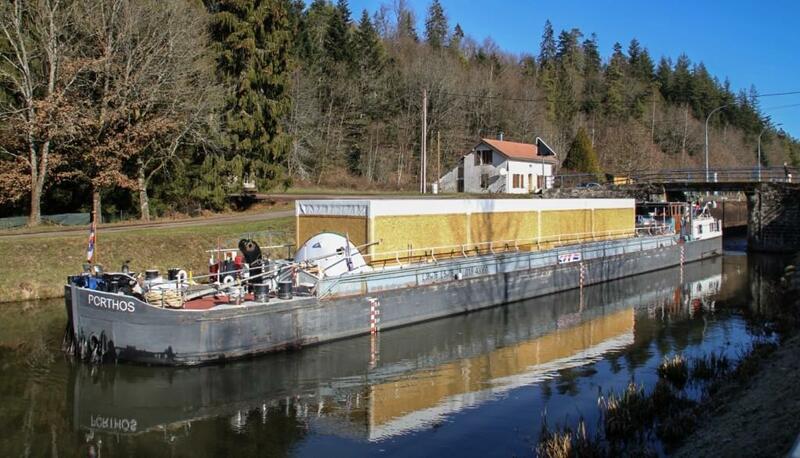 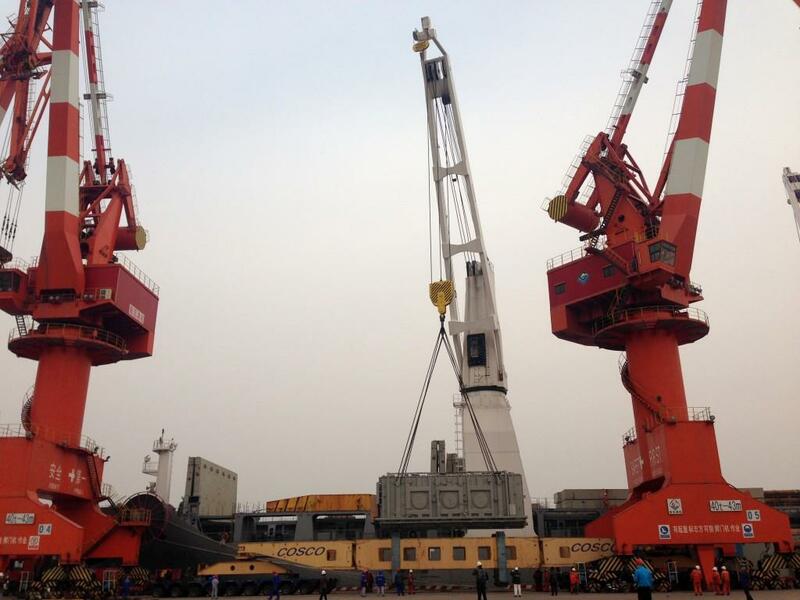 Early 2014 a second operation tested global logistics and organization, including the crossing of the Etang-de-Berre on a specially designed barge. 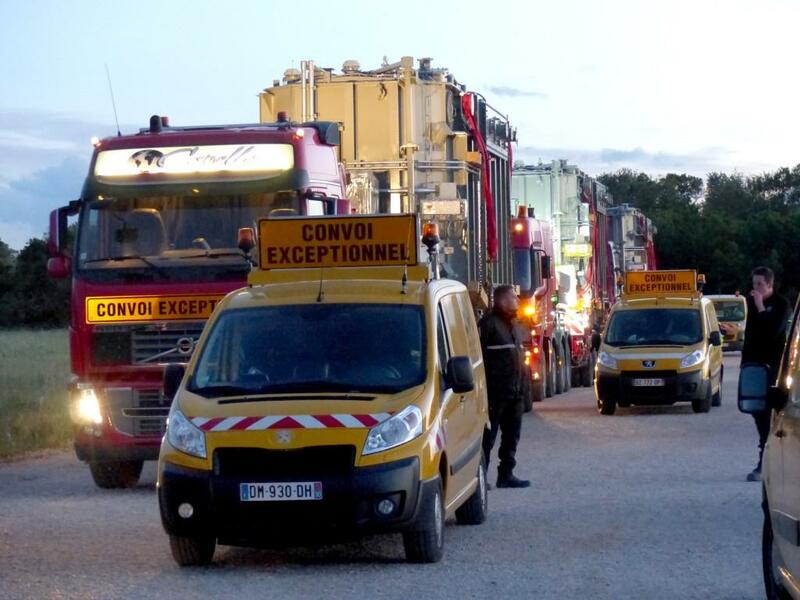 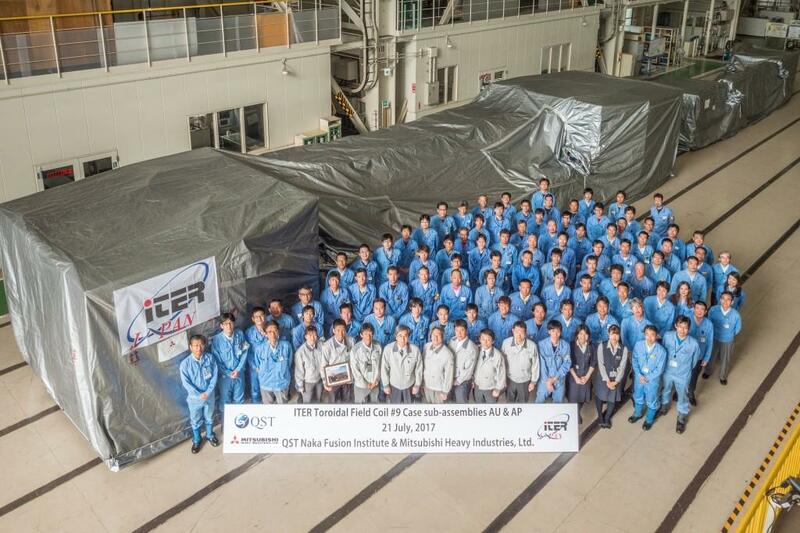 These successful test convoys opened the way for ITER components to begin travelling along the Itinerary in 2015. 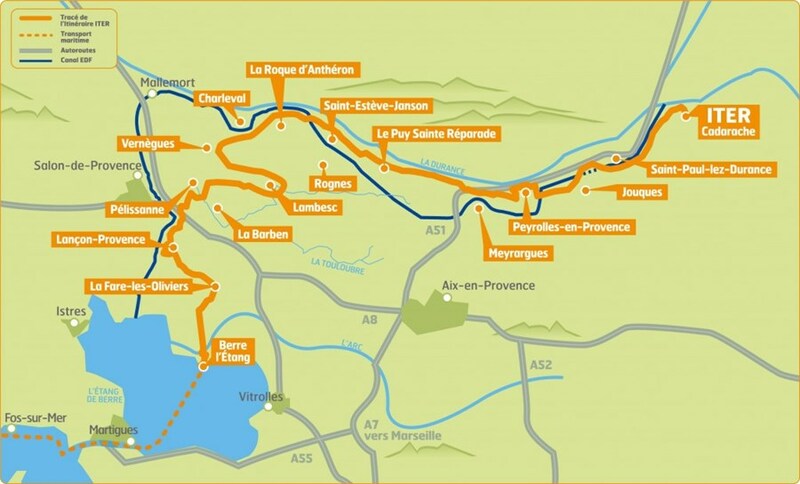 ITER Itinerary | Make way for the elephants! 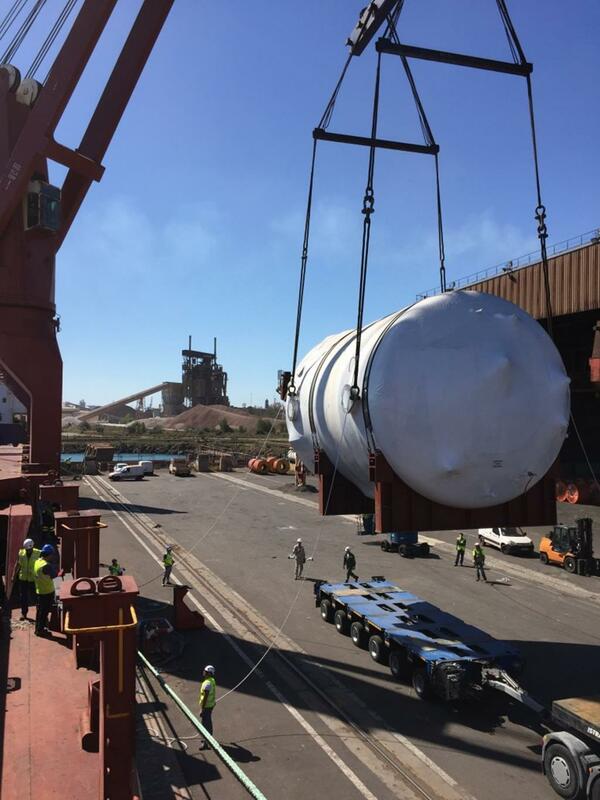 Components will travel "in a bubble"